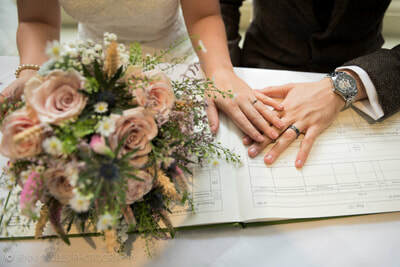 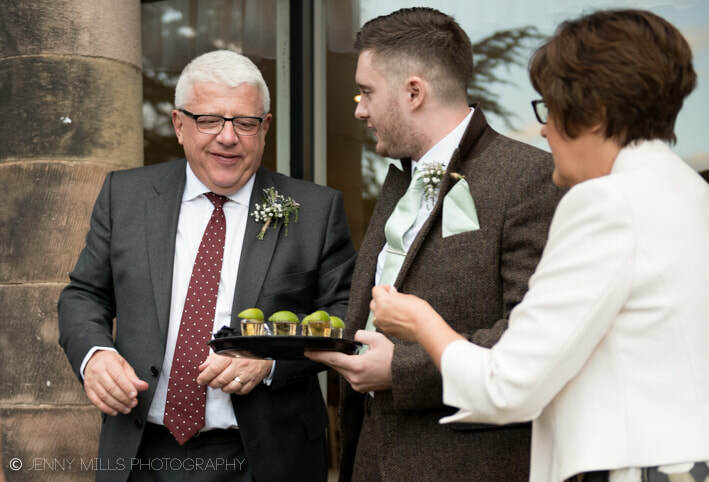 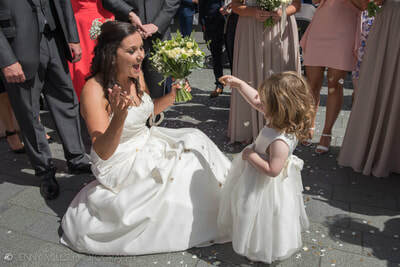 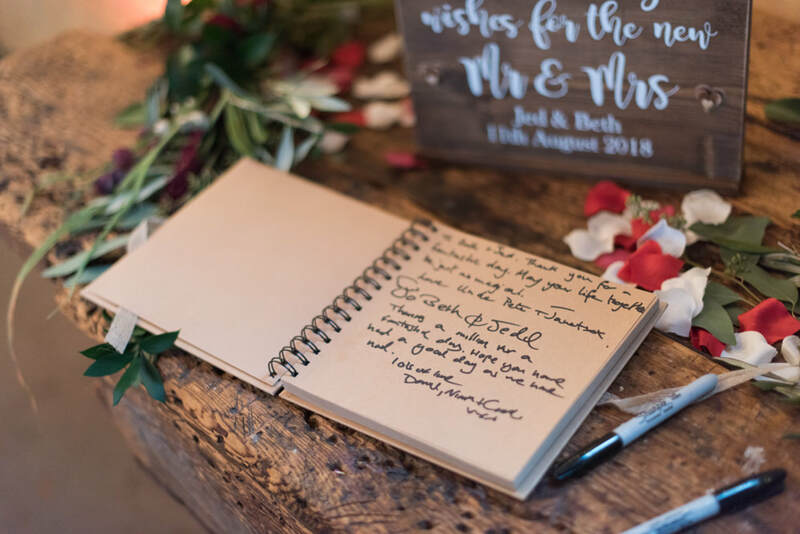 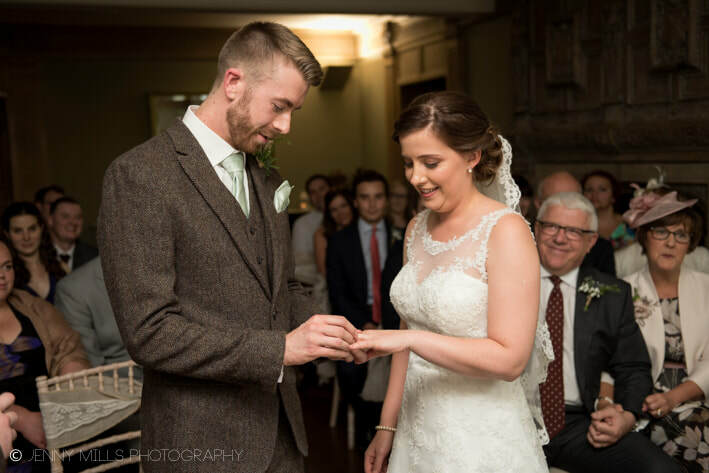 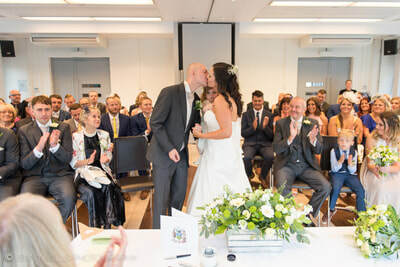 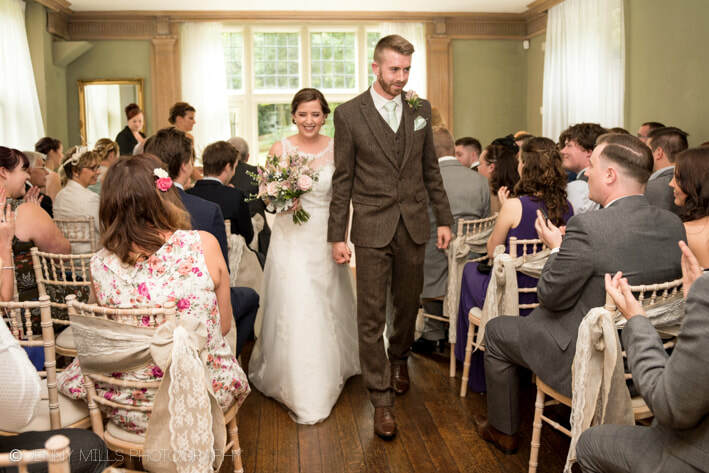 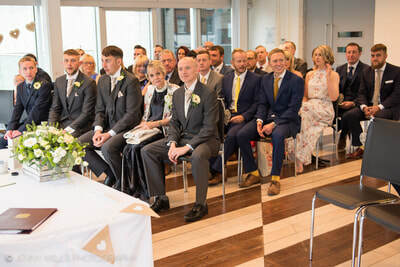 Beth and Jed married last August in the stunning 99 Mary St in Sheffield City Centre where they had a celebrant ceremony with Gwyneth from Exclusive Ceremonies. 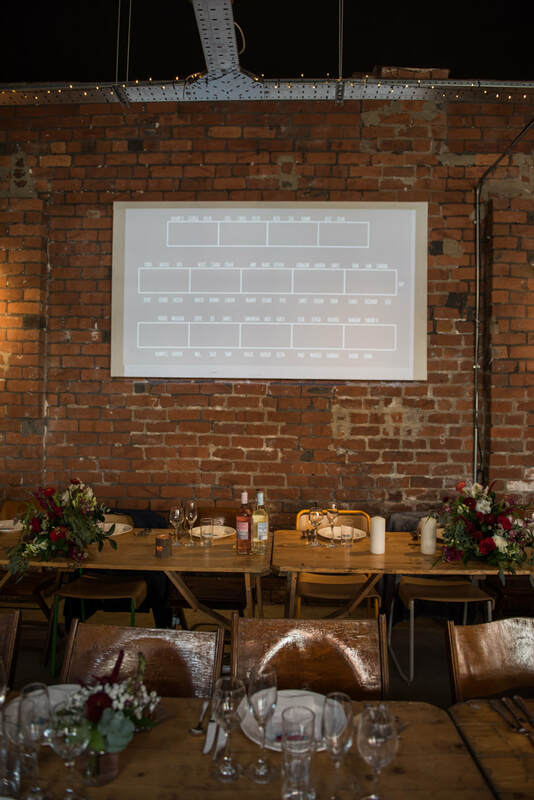 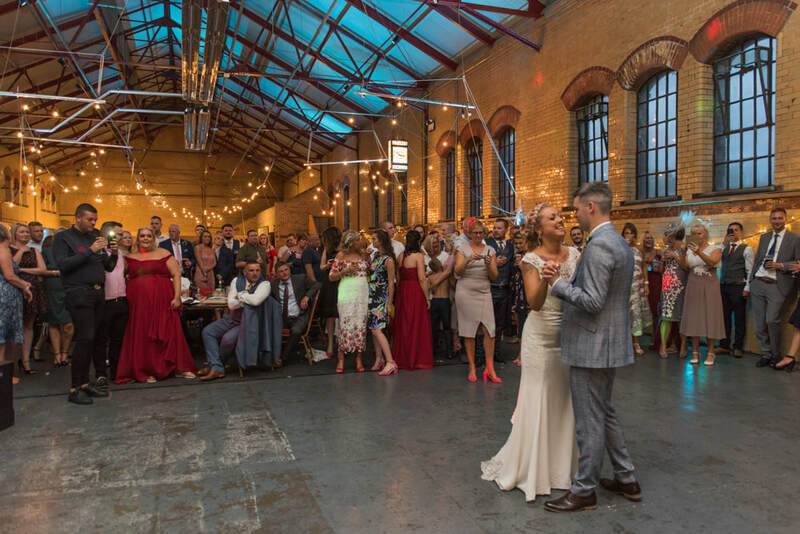 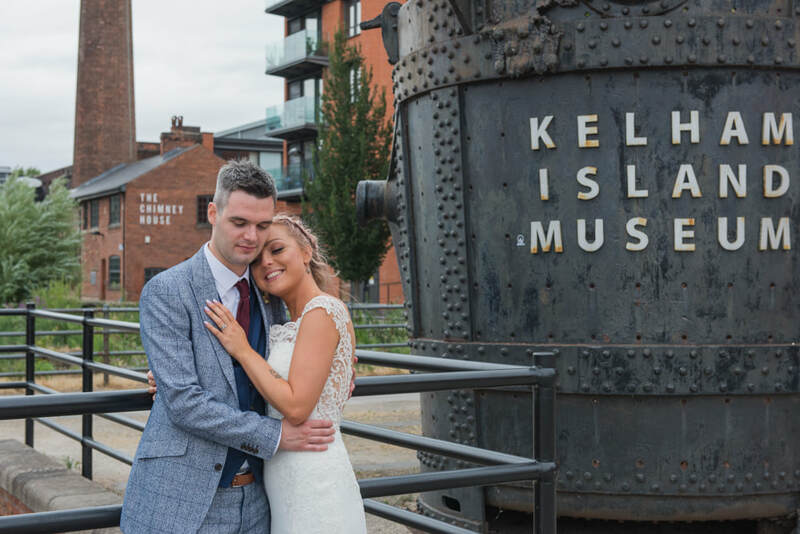 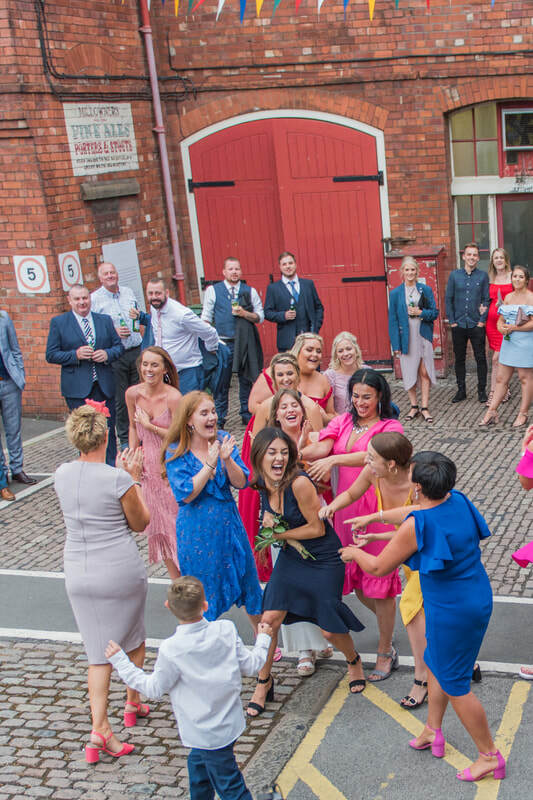 The wedding reception was at Kelham Island Museum in Sheffield City Centre. 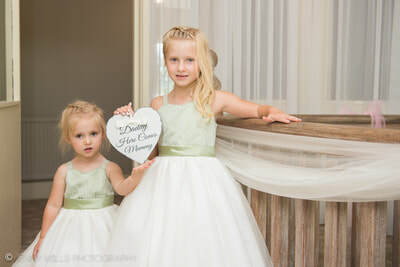 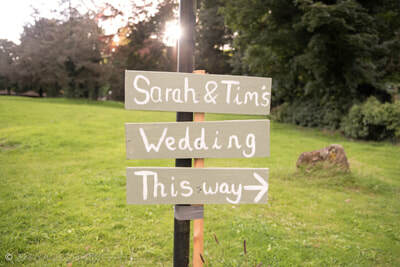 The wedding was cool and modern with traditional touches and a whole lot of fun! 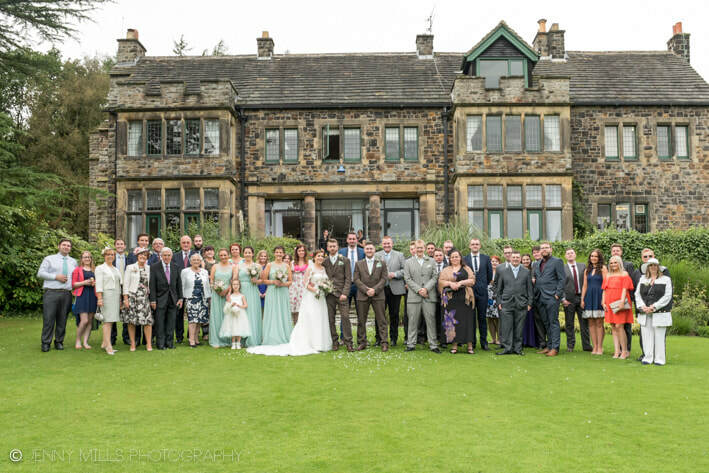 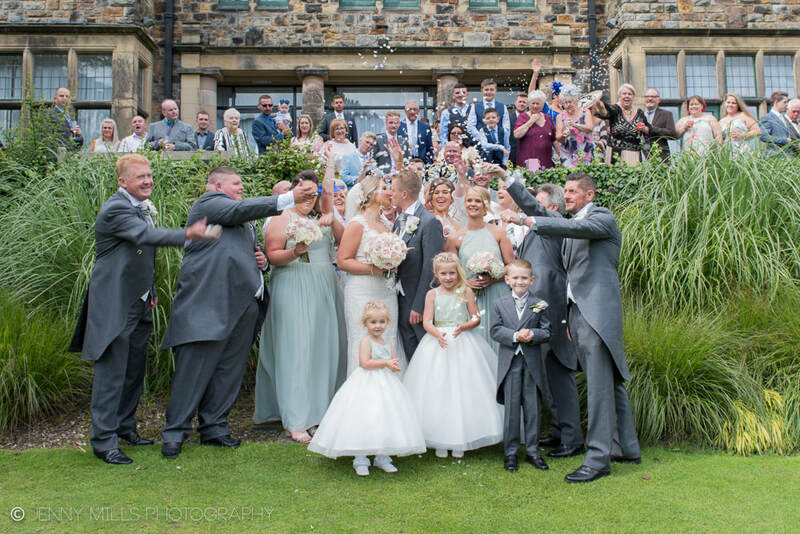 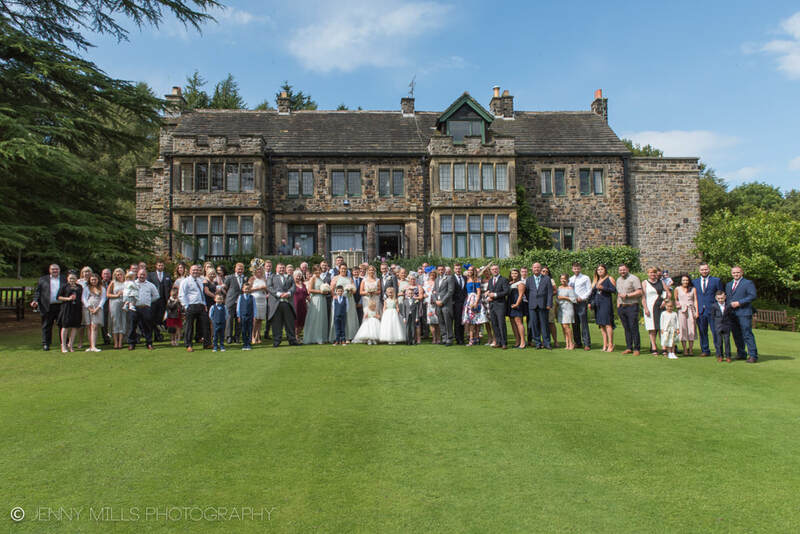 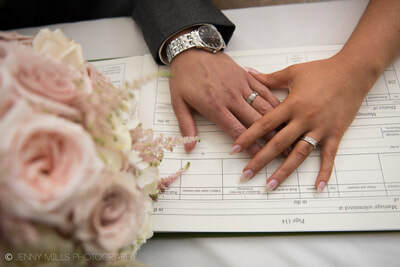 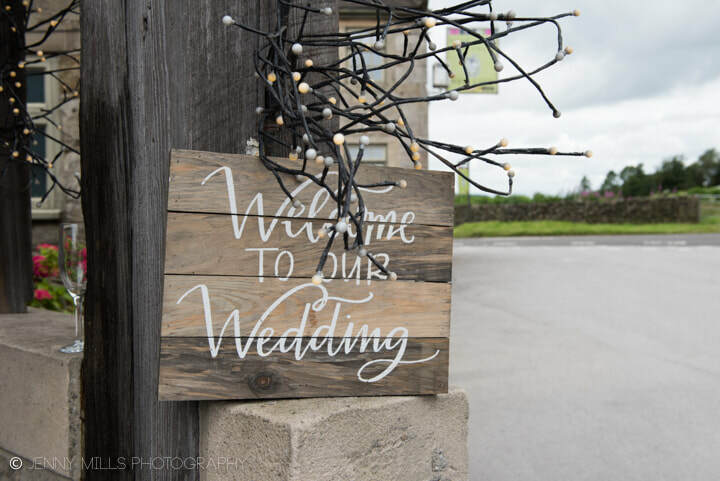 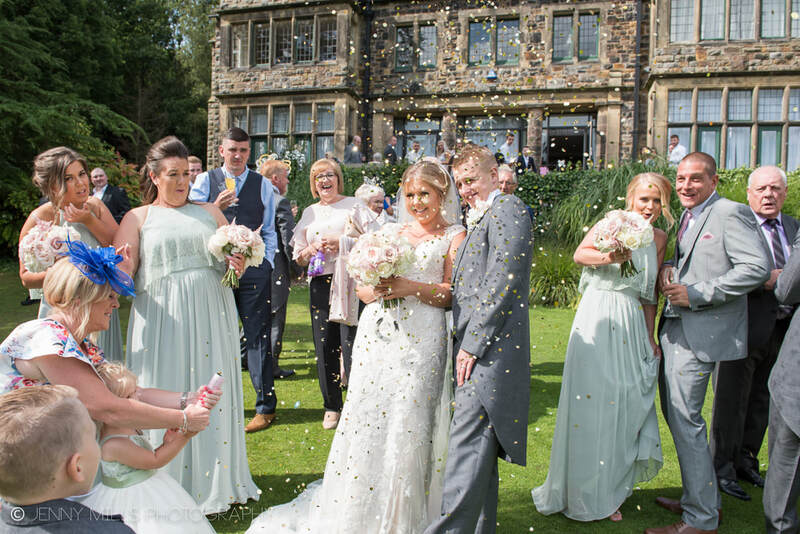 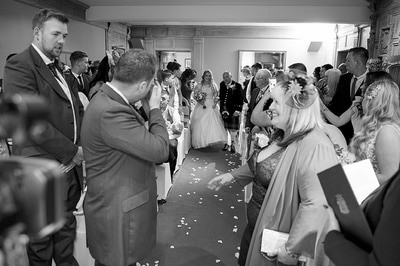 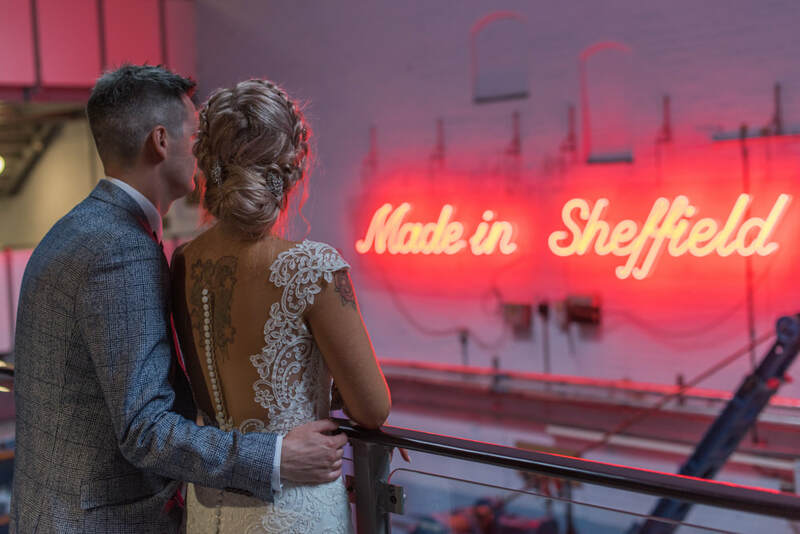 If you're planning your Sheffield wedding get in touch today, I'd love to hear from you! 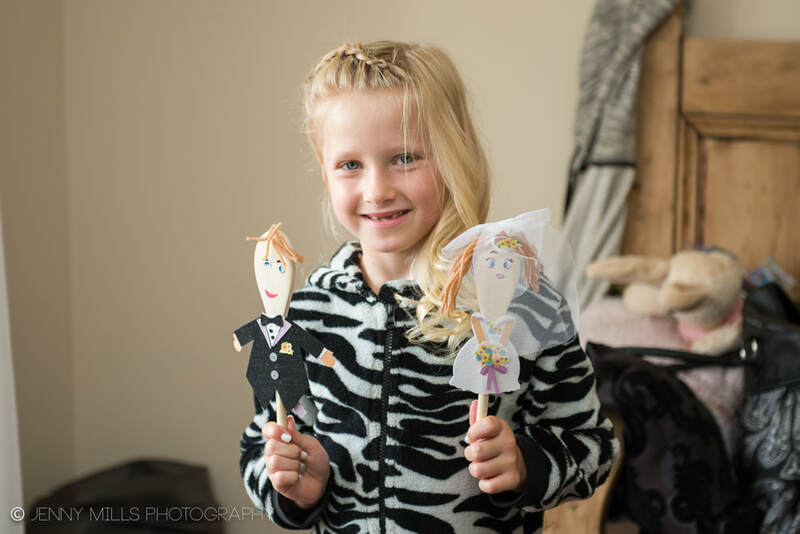 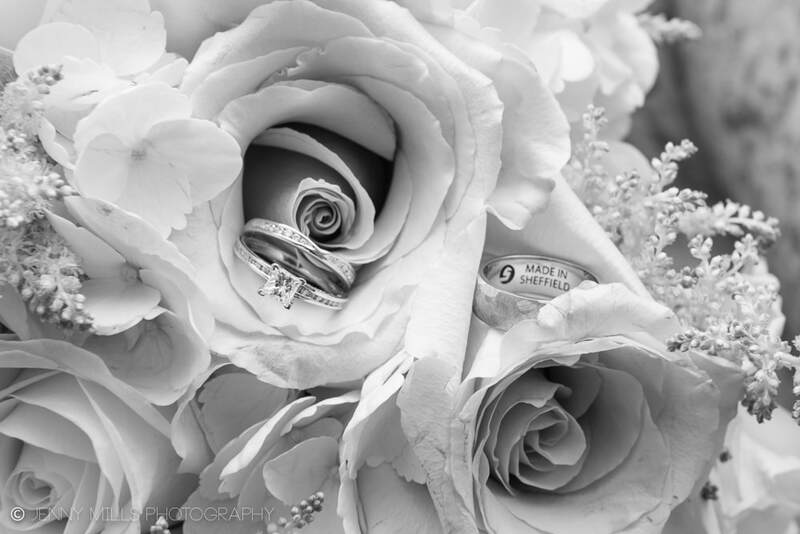 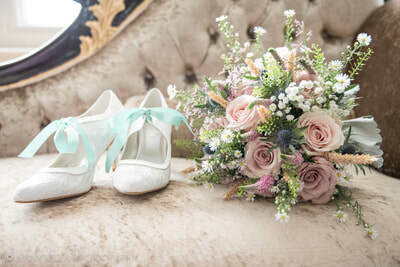 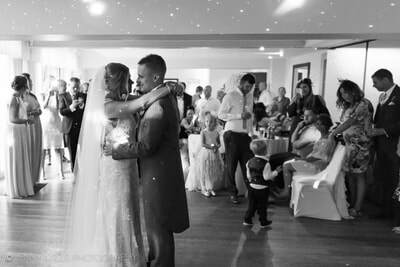 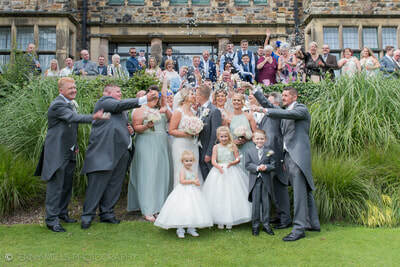 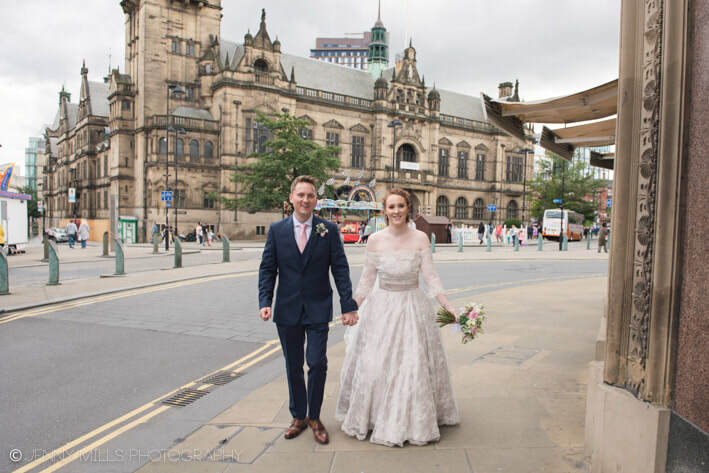 The images definitely tell a story from Rich & Hannah's special day at The Leopold Hotel in the centre of Sheffield. 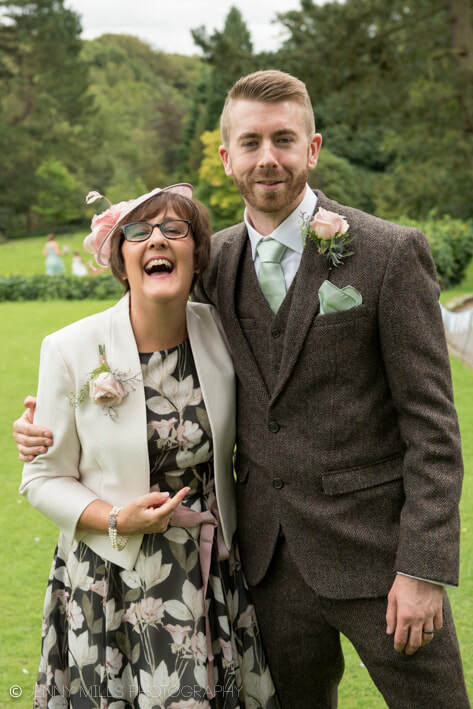 It was a lovely summers day in August and there were smiles all round! 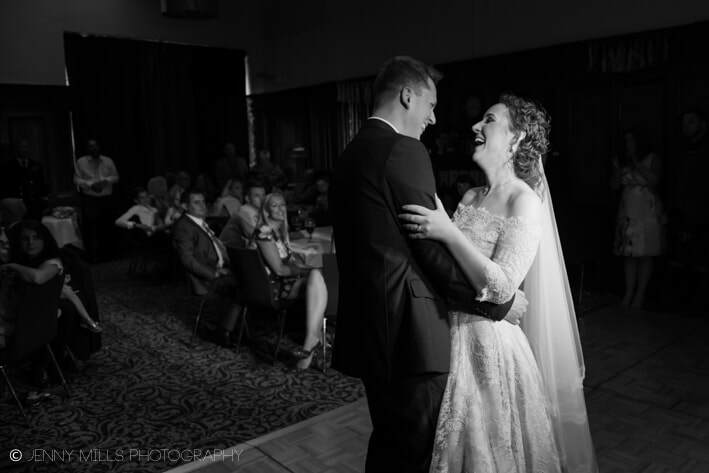 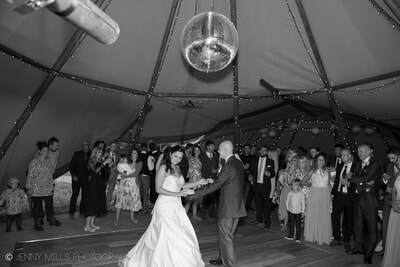 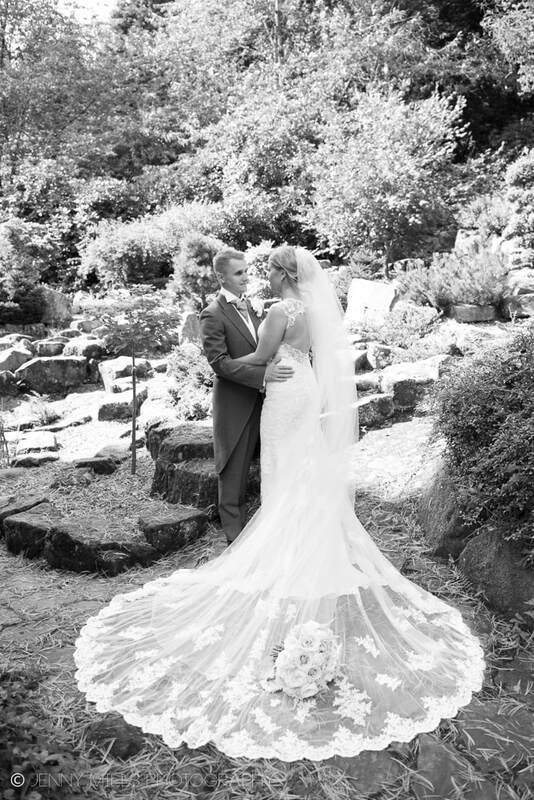 ​Hannah wore a breathtaking gown by KMR Bespoke Bridal Designer which was a lace and satin floor length circle dress with an off-the-shoulder lace bodice which she removed after their first dance for a different look in the evening. 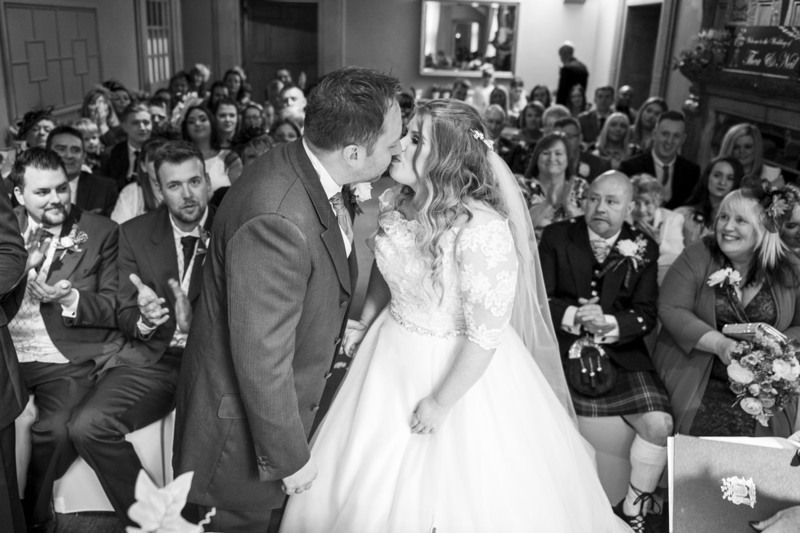 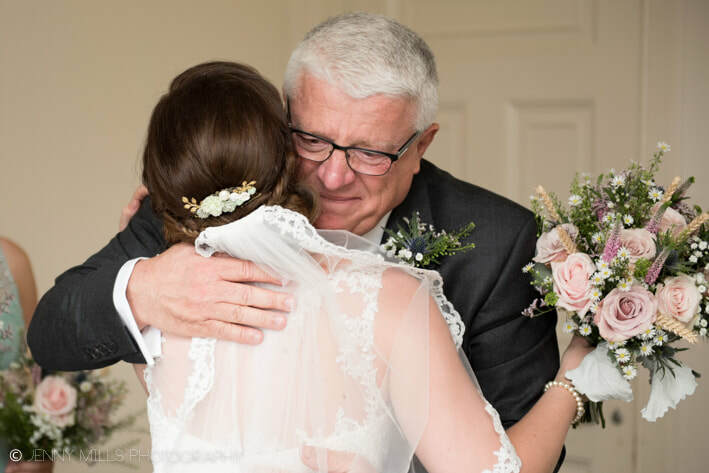 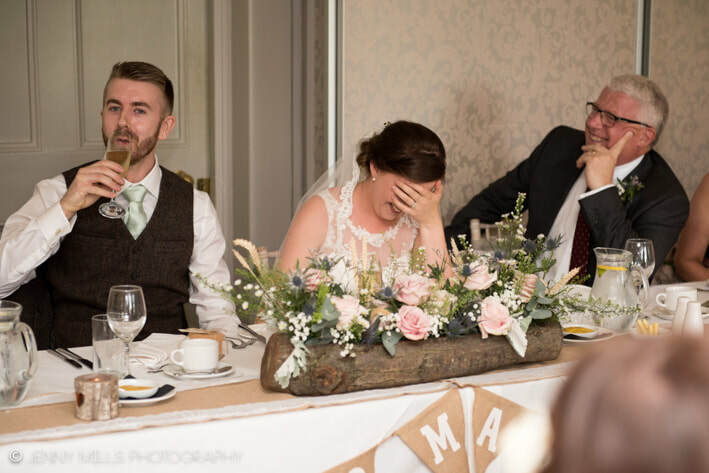 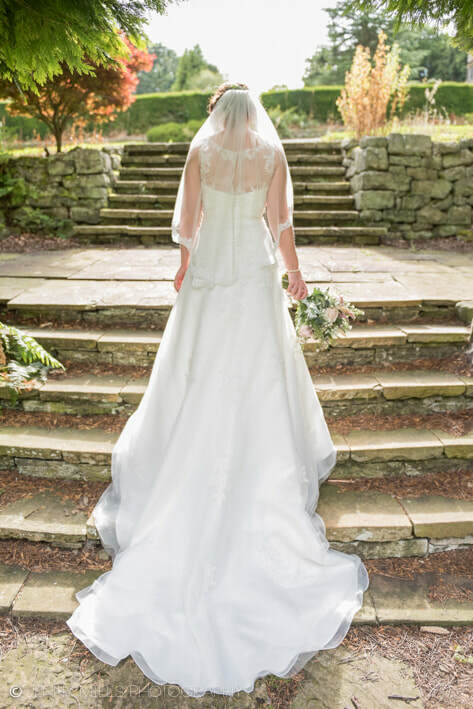 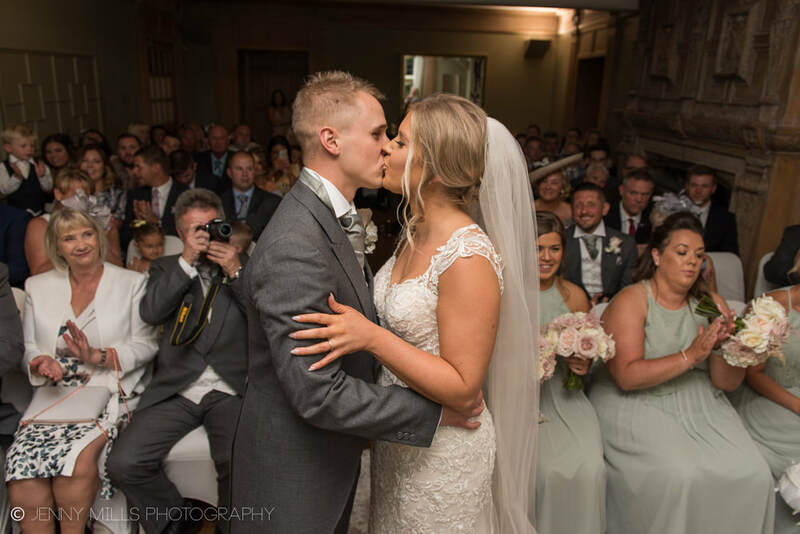 Hannah traditionally wore a veil from KMR over her face as she walked down the aisle, and to read her heartfelt handwritten vows to Rich - and of course shed a little tear when he read his too! 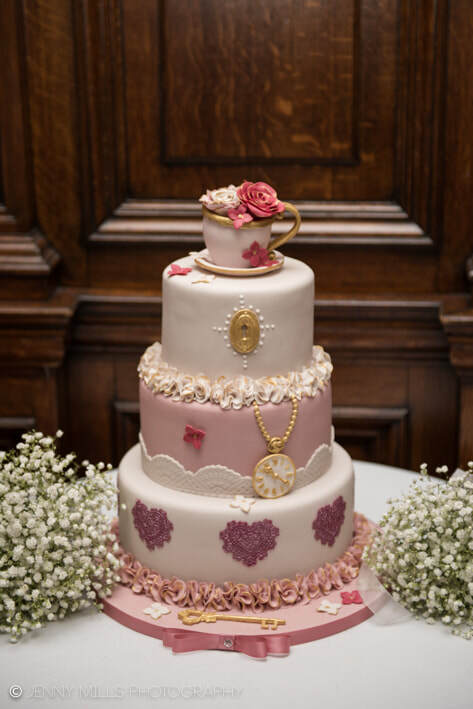 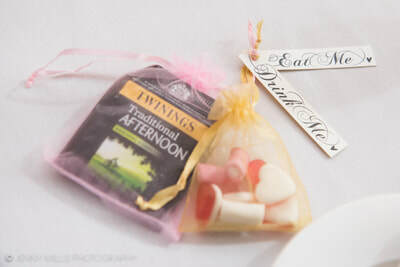 Hannah & Rich thought of every detail for their day - they had an Alice in Wonderland themed wedding breakfast of Afternoon Tea. 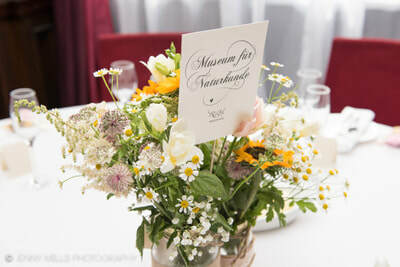 Their table names were named after places in Berlin where Hannah & Rich got engaged and also went on their Honeymoon! 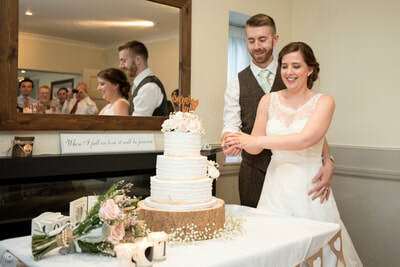 Hannah & Rich opted for a table for two at their wedding breakfast, which was really unique and special as they could spend a bit of time as a newly married couple! 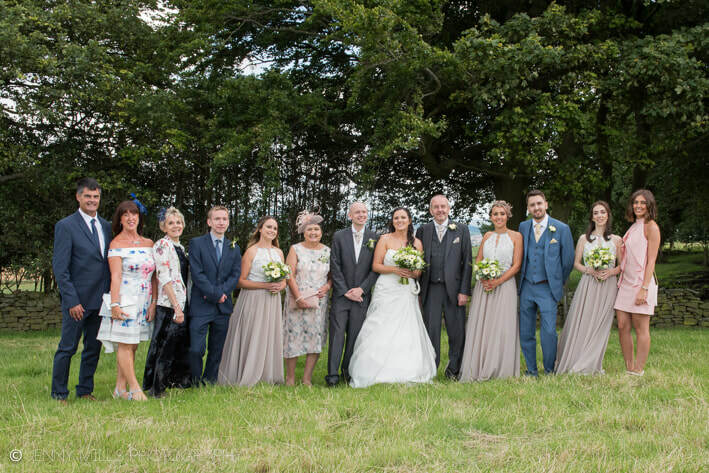 Today on the blog I am heading back to sunnier days again, for this beautiful Sheffield wedding last July. 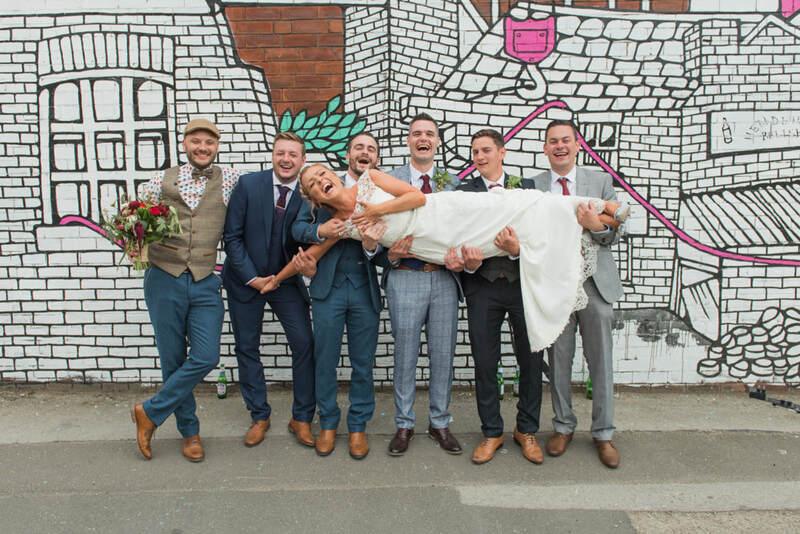 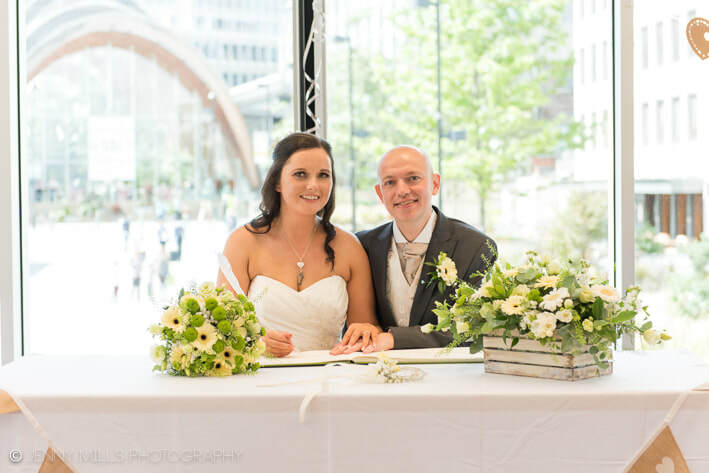 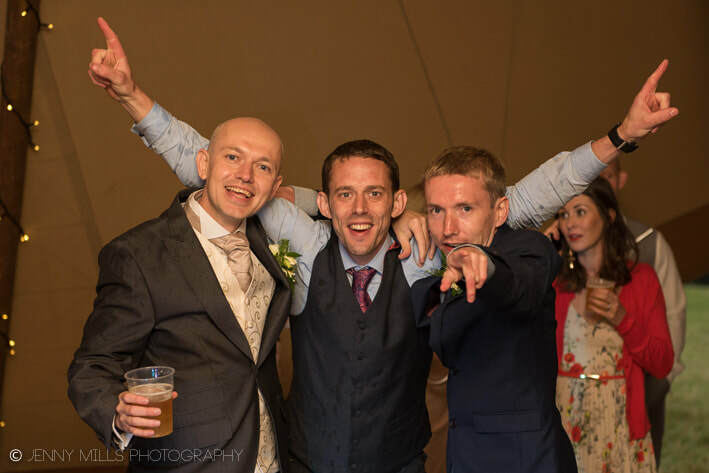 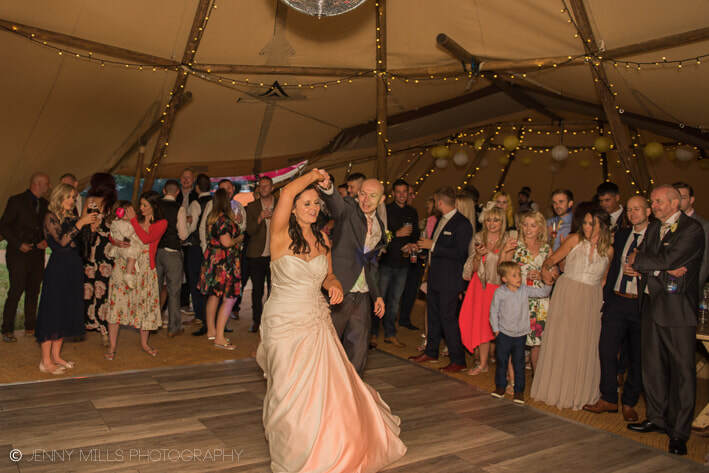 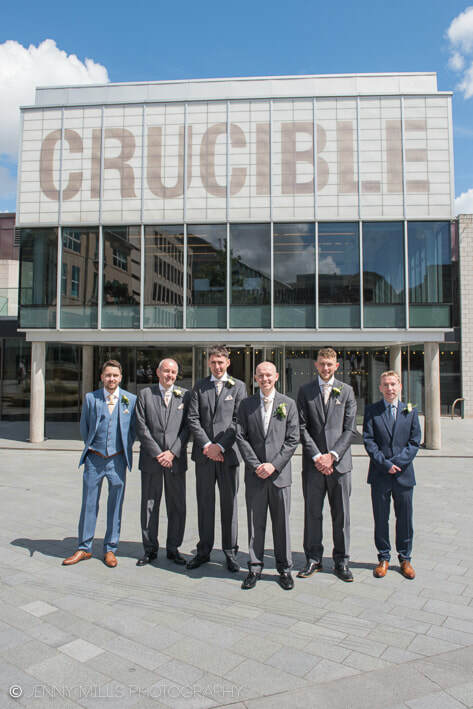 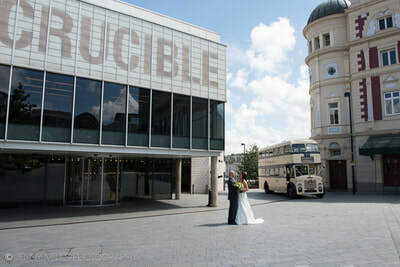 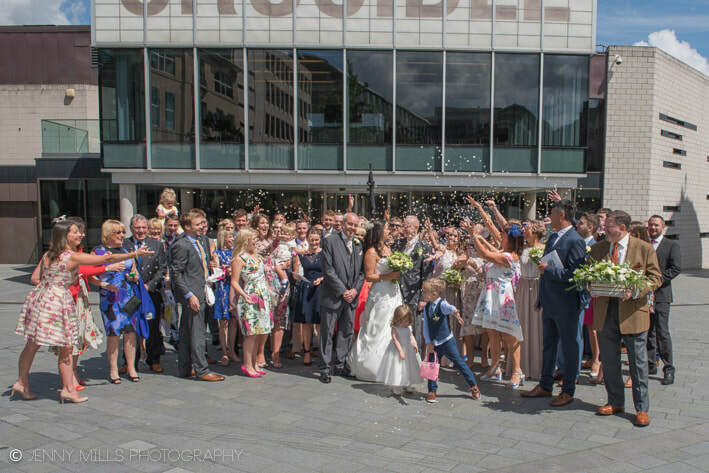 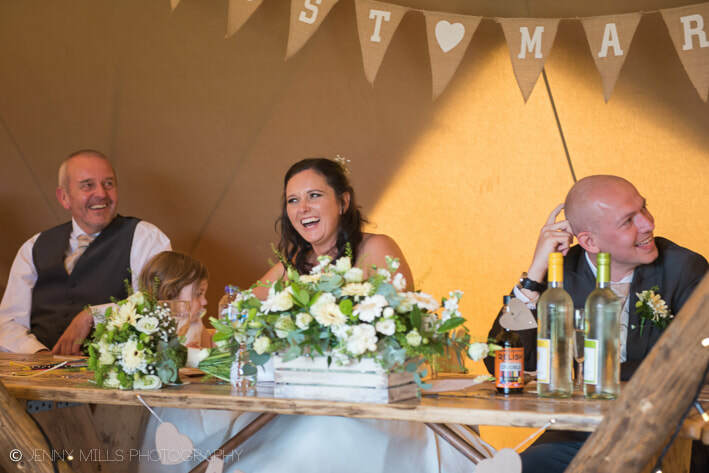 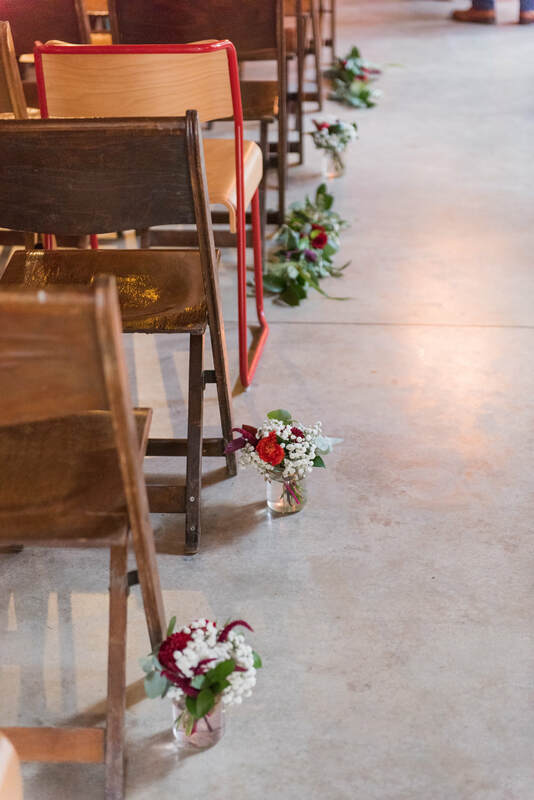 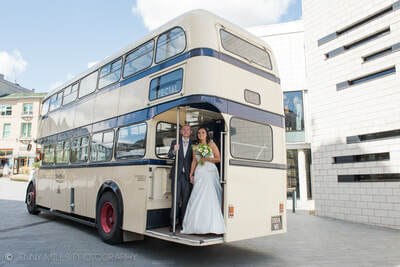 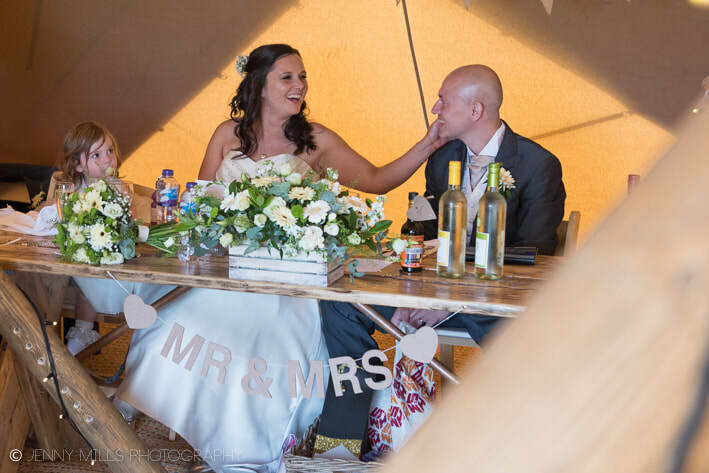 Lindsay and Andrew chose to marry in the iconic Crucible Theatre in the heart of Sheffield City Centre before heading to their Tipi reception. The day began at St Paul's Hotel where Lindsay and her bridal party got ready with the help of make up artist Laura Gingell from CRAFT. 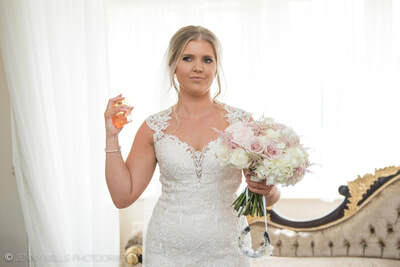 Lindsay wore a satin strapless gown with beautiful embroidering and had a beautiful bouquet full of ivory flowers which complemented the neutral bridesmaid gowns perfectly. Lindsay and her party headed in through the stage door and made their way to the ceremony which was held in the Adelphi Suite of The Crucible Theatre with a unique view overlooking Tudor Square. 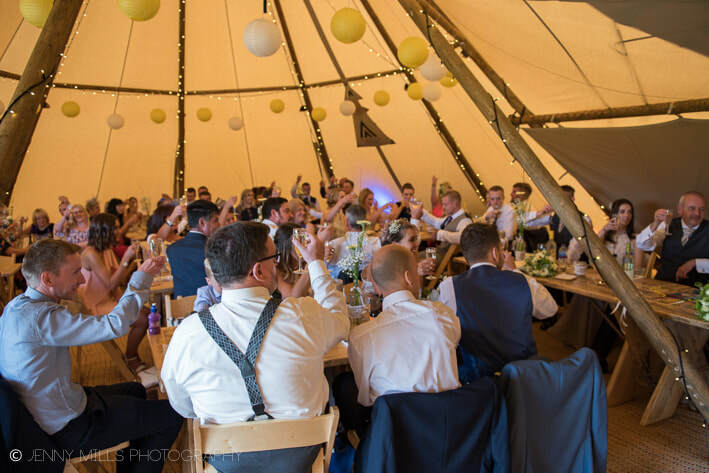 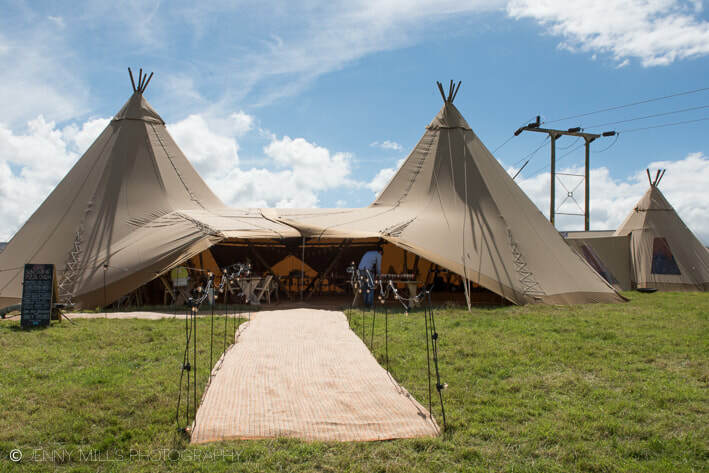 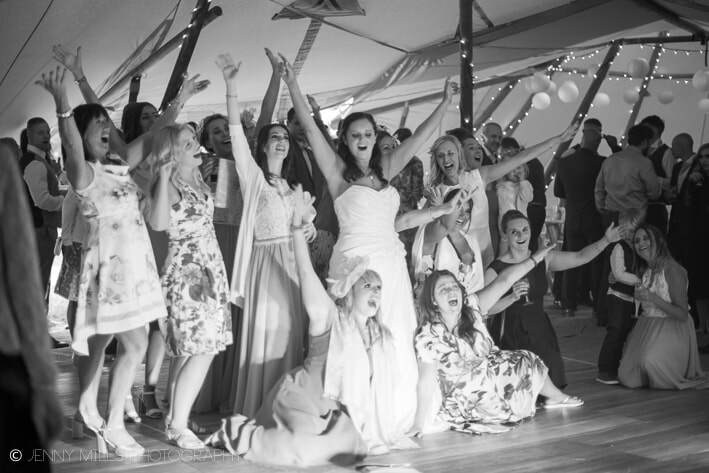 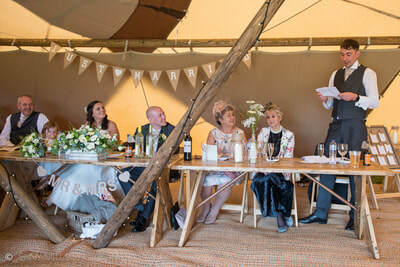 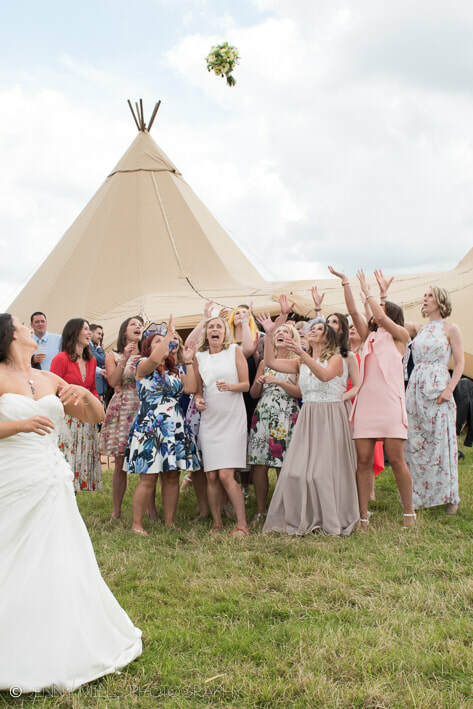 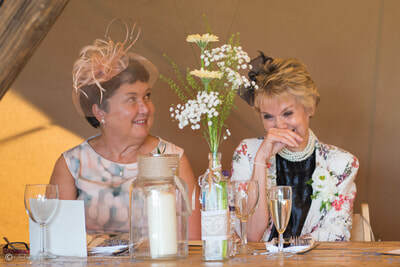 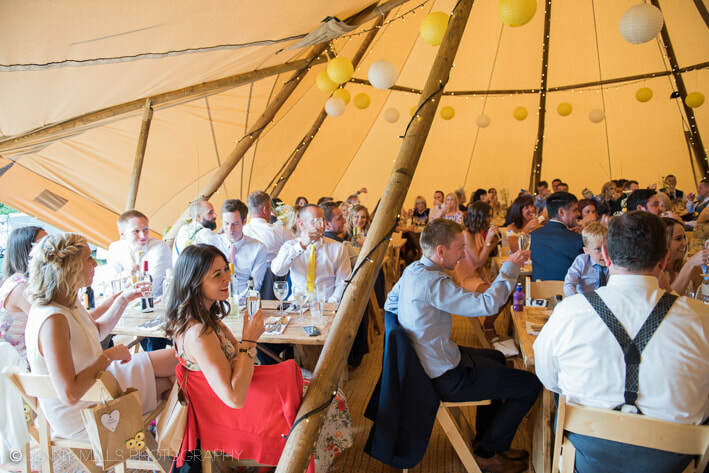 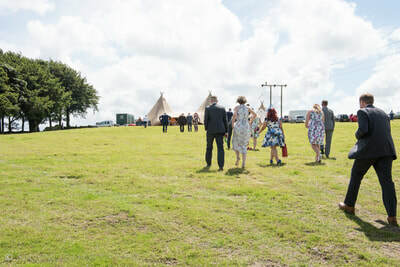 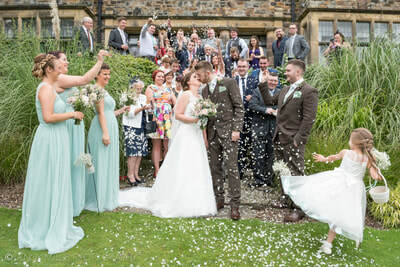 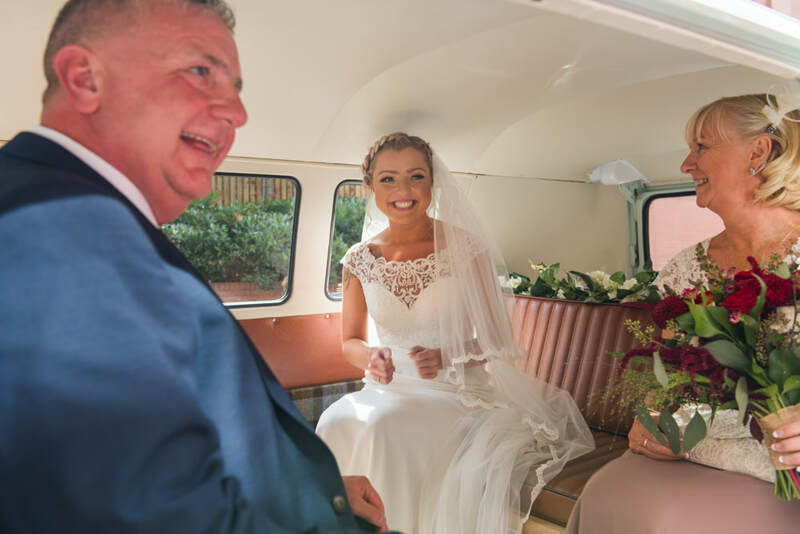 After the ceremony the guests enjoyed a drink in the Crucible bar and showered the happy couple in Confetti before heading off on the stunning 1950's bus which took them to Worrall where the Tipi stood waiting, full of gorgeous decoration and ready for the party ahead! 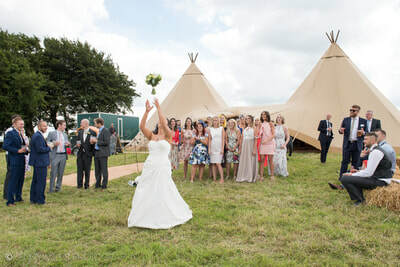 The ladies were greeted with a very practical favour of flip-flops, you don't last long on a field in heels after all! 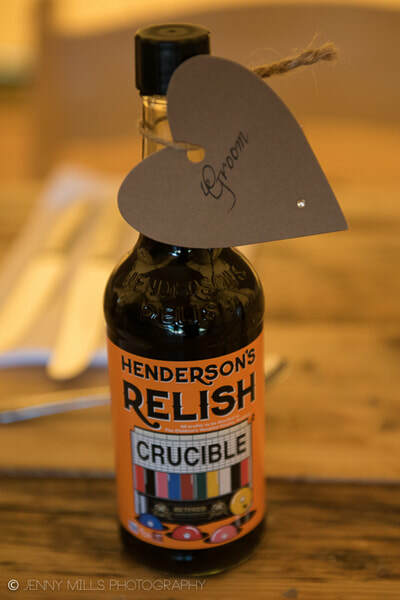 The men received special edition bottles of Henderson's Relish, featuring the Crucible Theatre! The day started at Casa Hotel in Chesterfield where Olivia was getting ready for her big day. 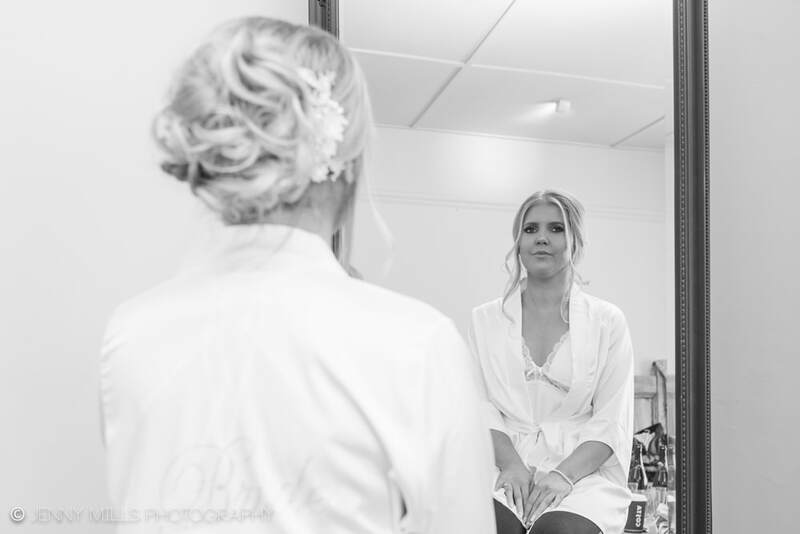 Makeup artist Keeley Dickens was busy helping the ladies get ready along with the hair stylists. 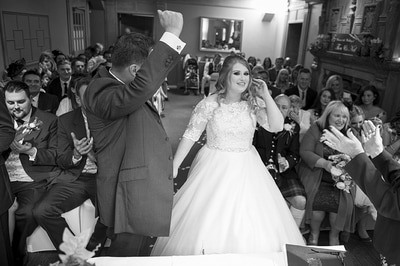 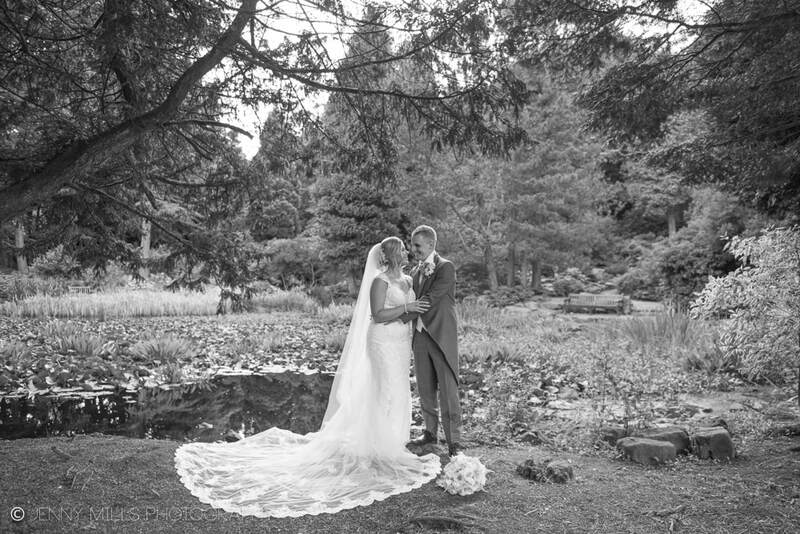 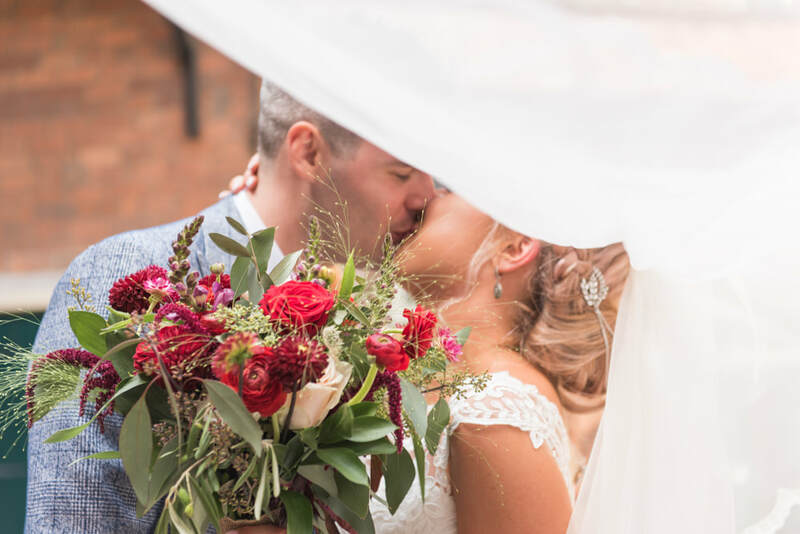 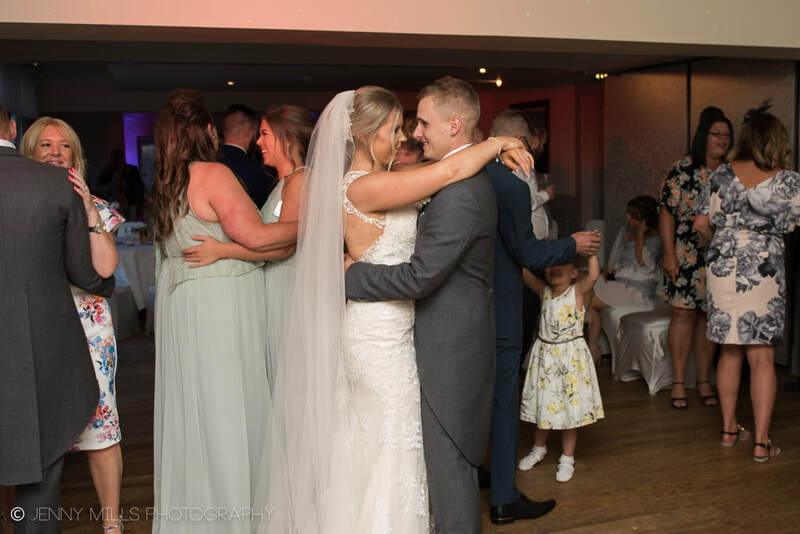 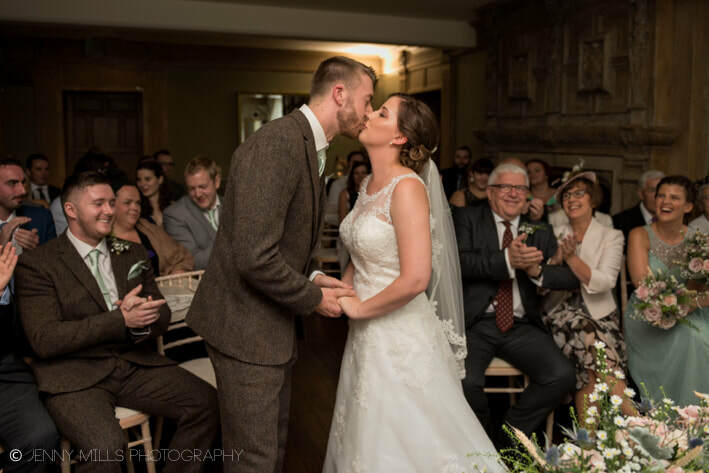 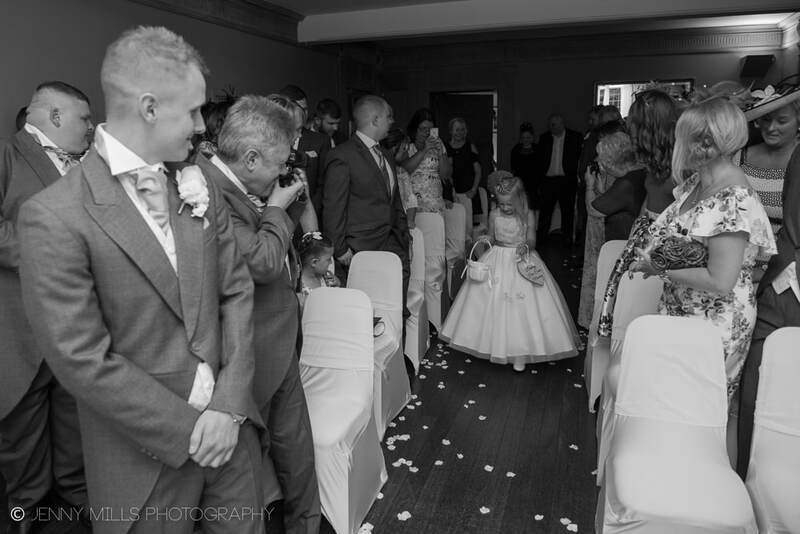 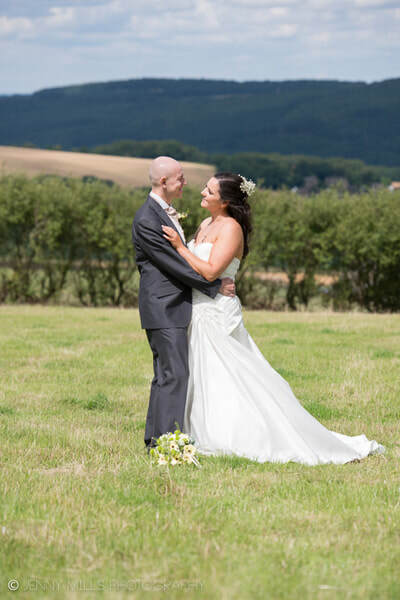 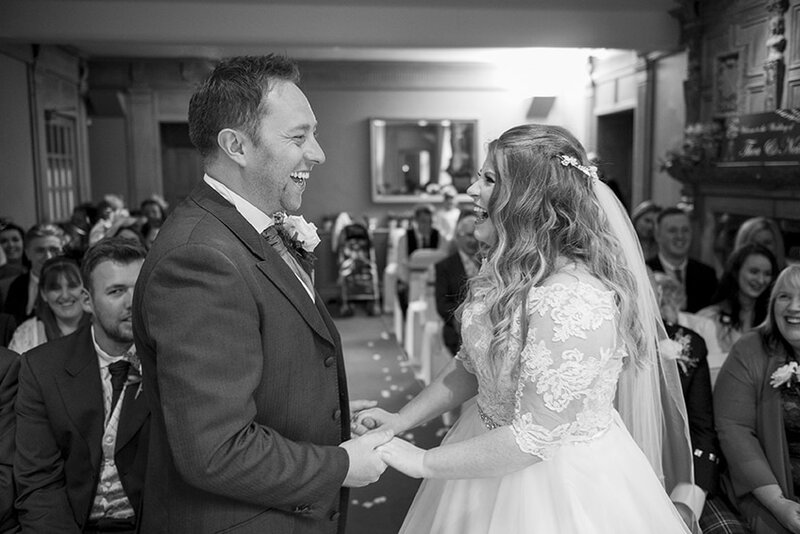 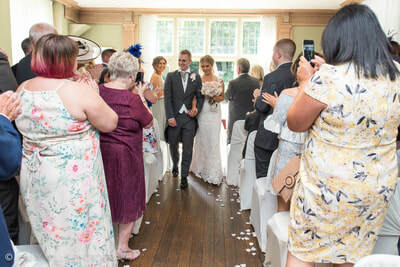 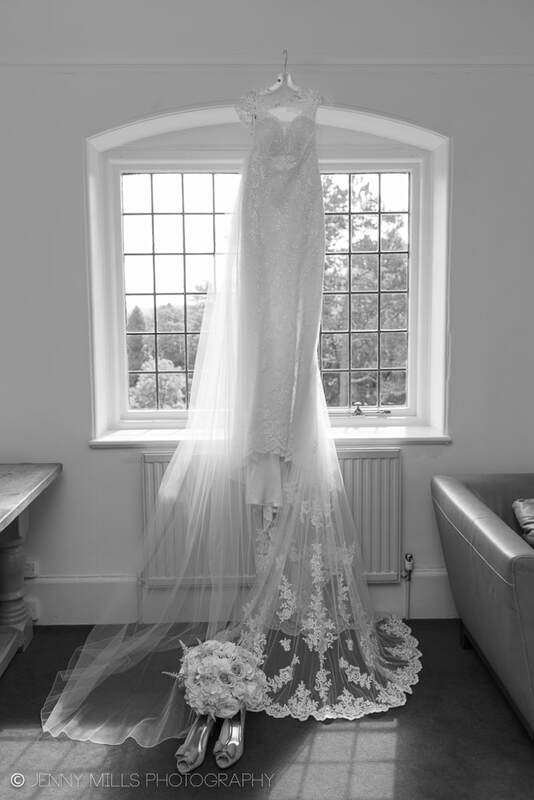 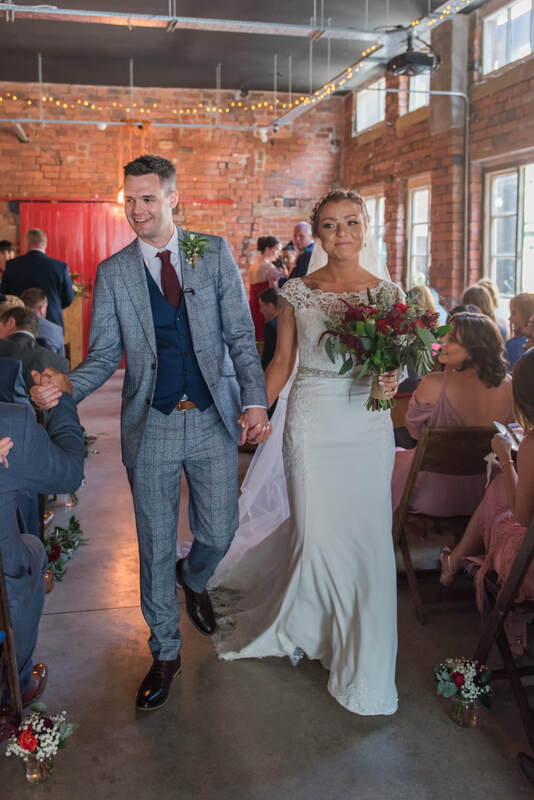 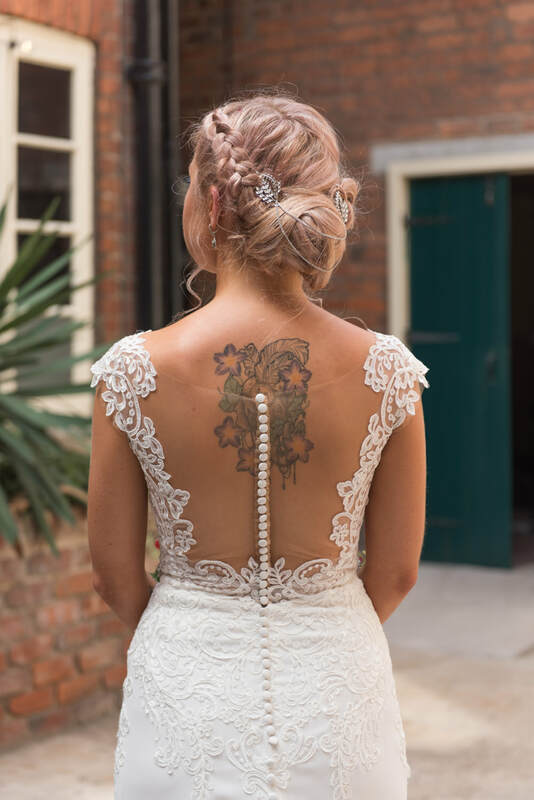 Olivia wore a stunning satin fishtail dress with embellished sleeves and belt from Nora Eve Bridal, along with a mid length veil which she wore over her face to walk down the aisle in the traditional way! 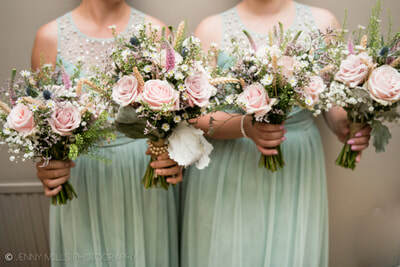 The bouquet was an amazing array of pink, white and green from JJ's Flowers. 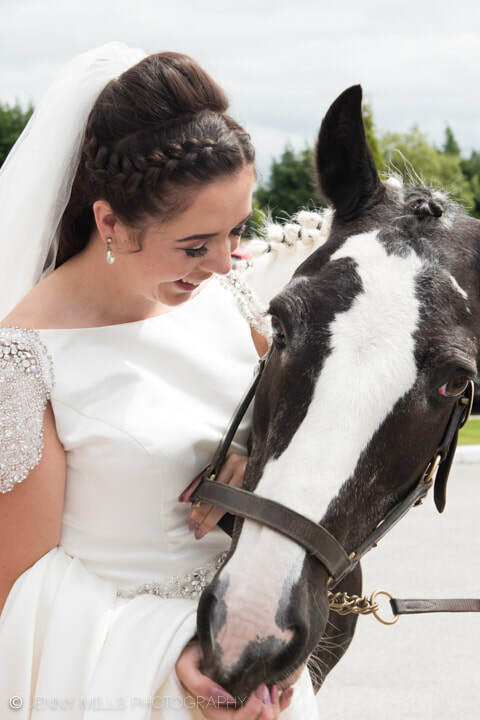 After the ceremony there were some surprise guests waiting outside, Olivia's two horses Barney and Snowy. 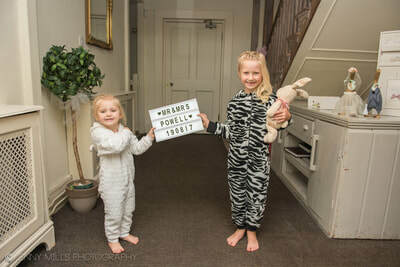 Olivia grew up with Barney (see photo) so it was a really special moment. 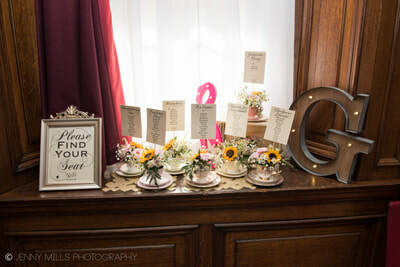 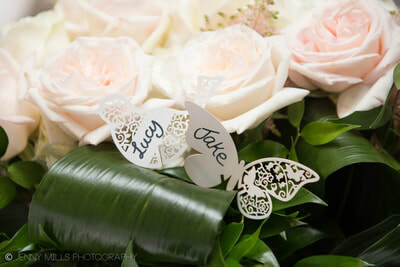 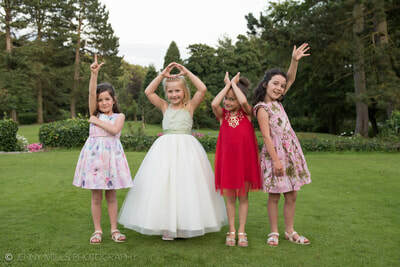 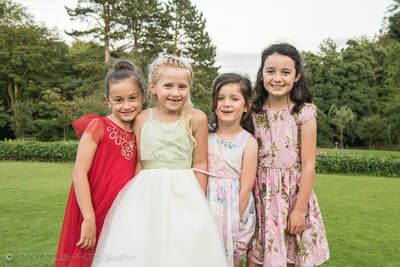 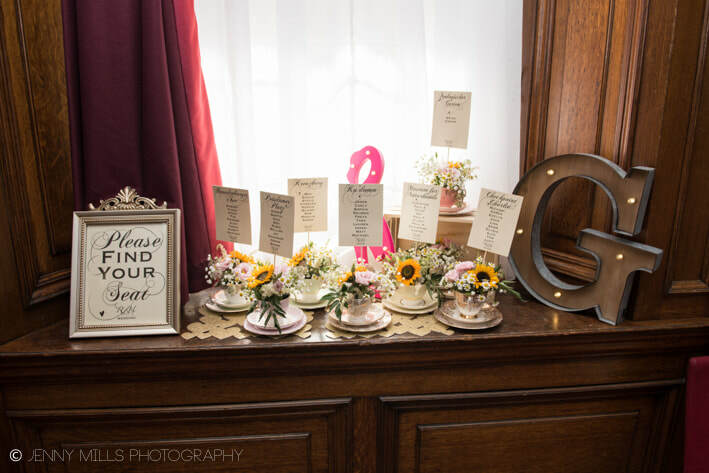 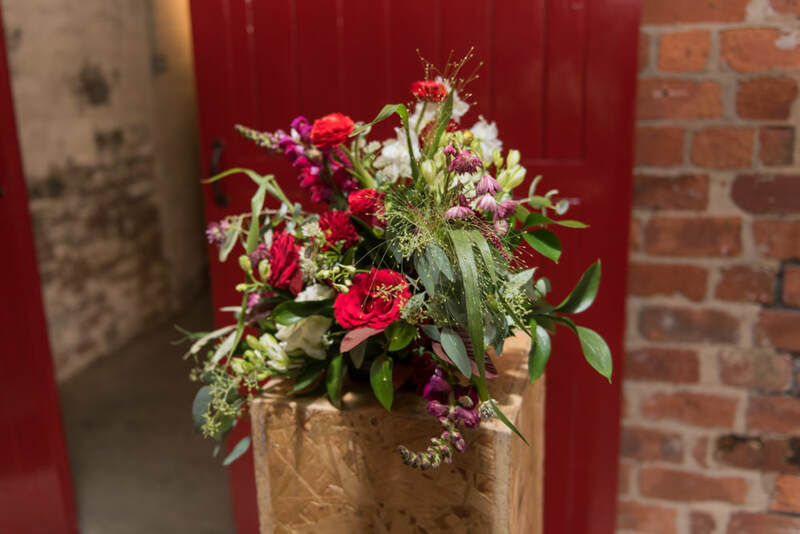 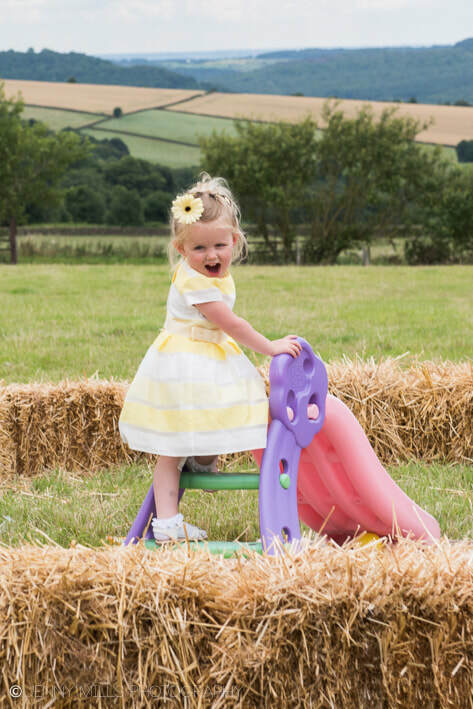 The equestrian theme continued as the guests were asked to sign a special message onto a saddle, and the tables held flowers and horseshoe centrepieces which Olivia created herself. 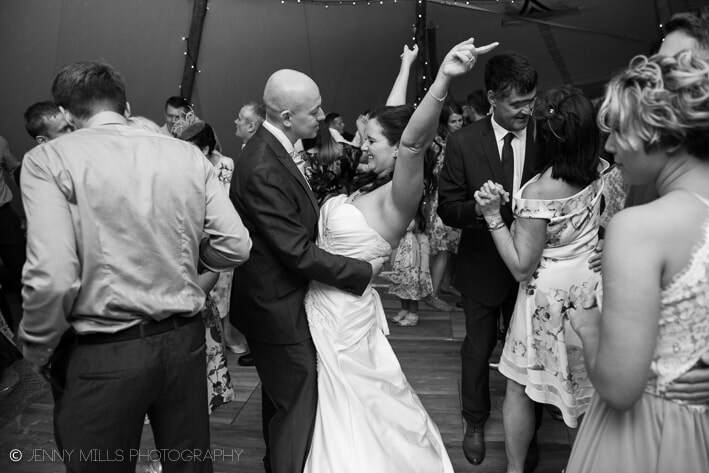 Looking back to Summer on a dreary January day, today I am re-visiting Jess and Luke's July wedding in Sheffield. I met Jess on the morning of her wedding at her and Luke's new home where she was getting ready with her lovely bridesmaids. 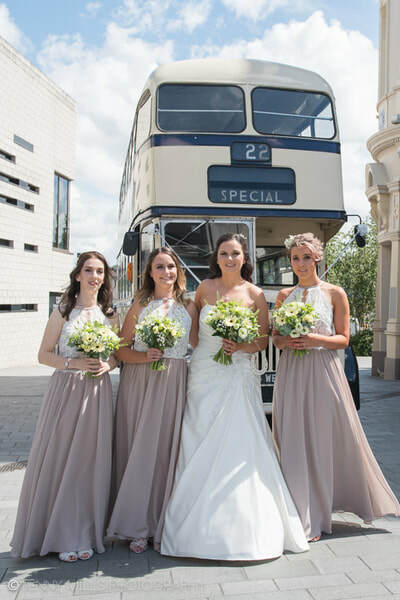 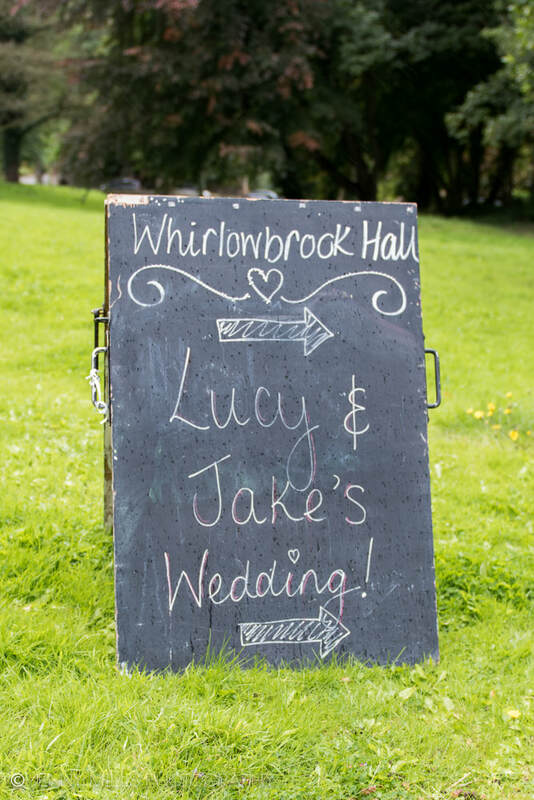 To help with the preparations were Beth Brooke Makeup Artistry and VIVA Hair & Beauty. 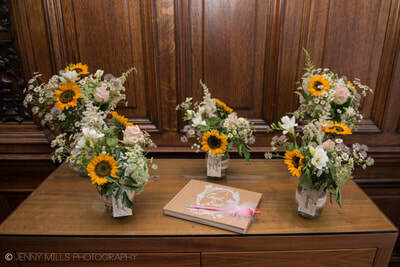 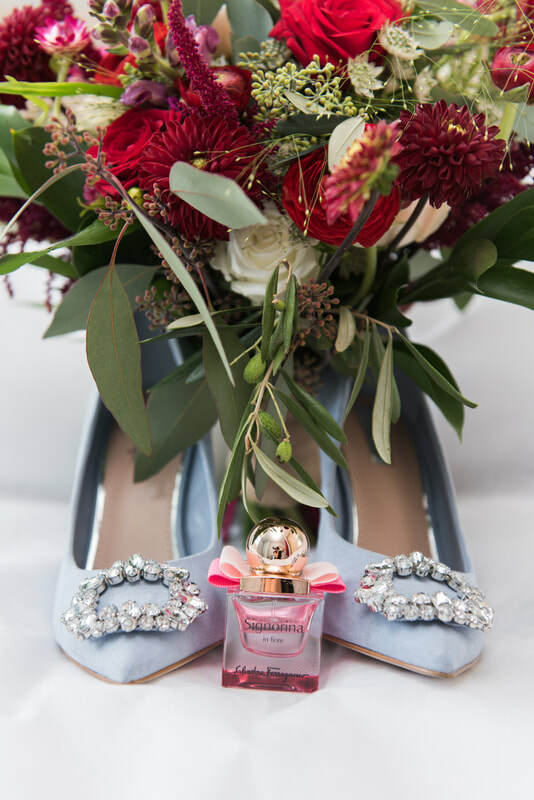 The stunning bouquets and button holes were by 'of the wild.' 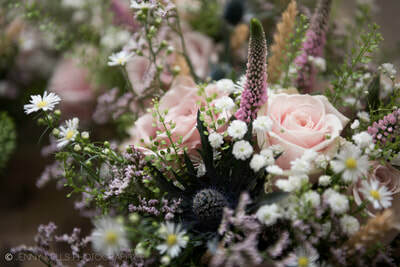 florists in Broomhill, Sheffield. 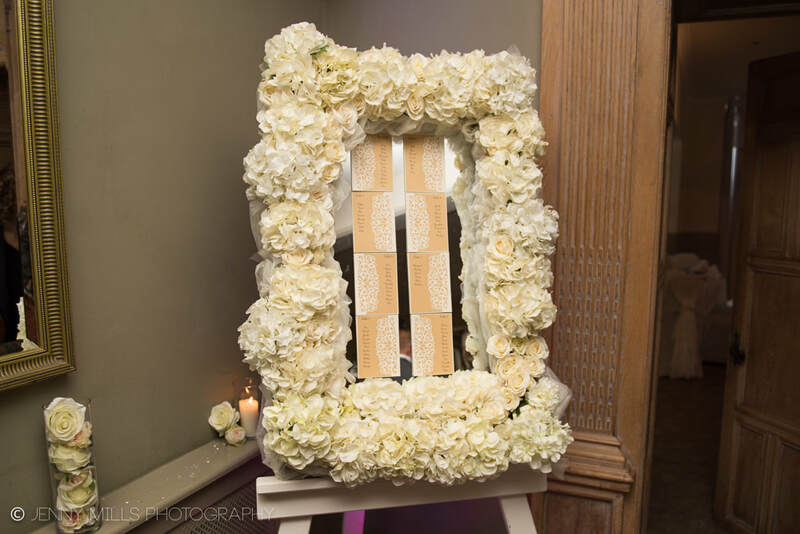 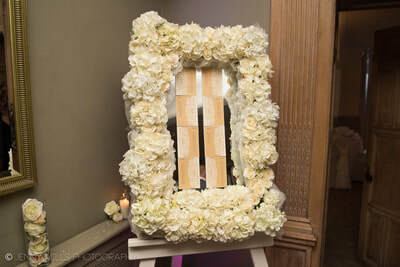 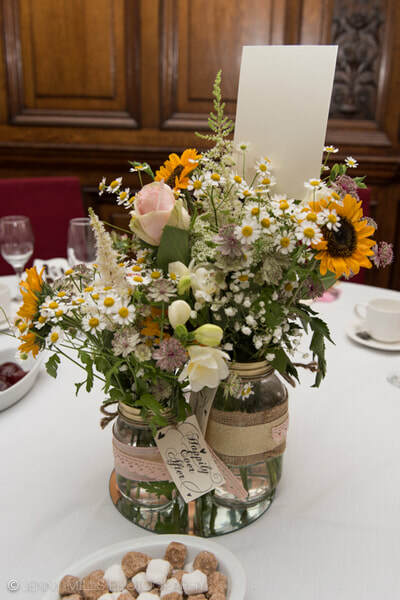 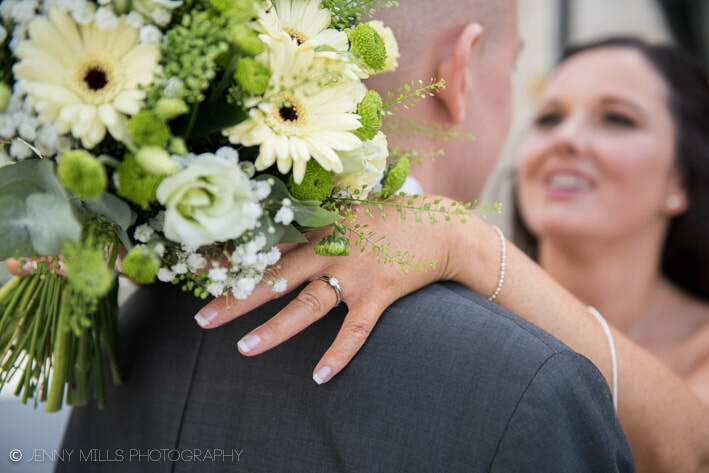 They were wonderfully simple and so elegant, with a mixture of light coloured flowers and crisp, fresh greenery to create a really organic look. 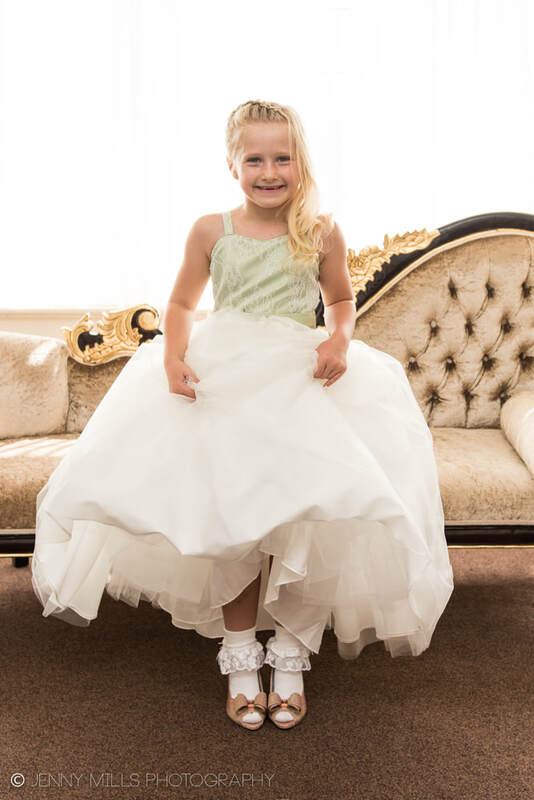 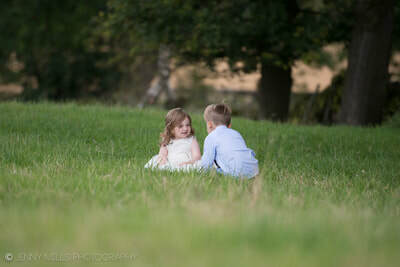 Jess wore a gorgeous ivory and blush Ladybird dress from Mirage Couture in Kiveton. 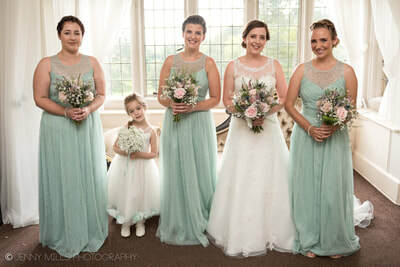 The bridesmaids wore beautiful floor length dresses by The Dessy Group which were also from Mirage Couture. 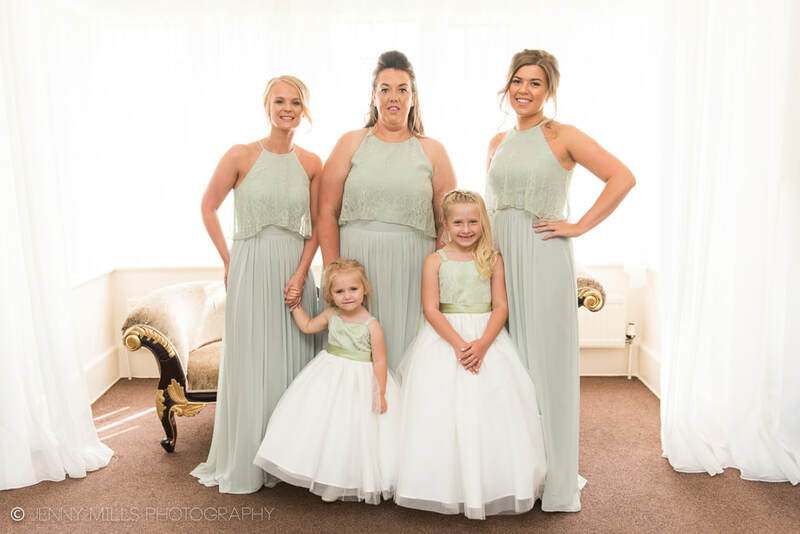 Each of the four ladies wore a different neutral shade, which helps greatly when two of the bridesmaids are identical twins! 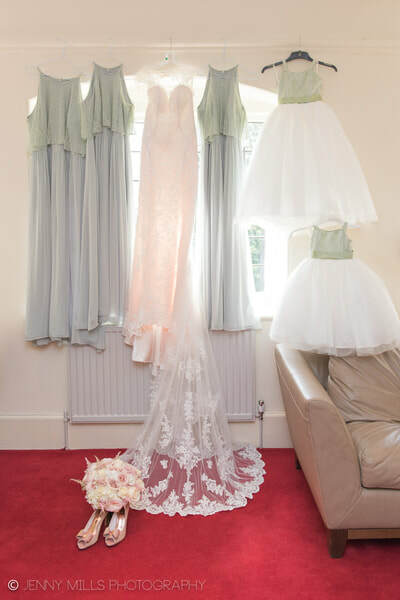 I loved the mixed colour choices! The ceremony was held at St. Giles Parish Church in Killamarsh which is a beautiful quaint church and afterwards the guests headed to Rother Valley Golf Club for a wedding breakfast after my own heart, a Yorkshire favourite - Pie and Peas! The sun didn't stop shining for this couple who are FULL of fun which is so evident looking back at the photos - they were always up for having a good laugh! 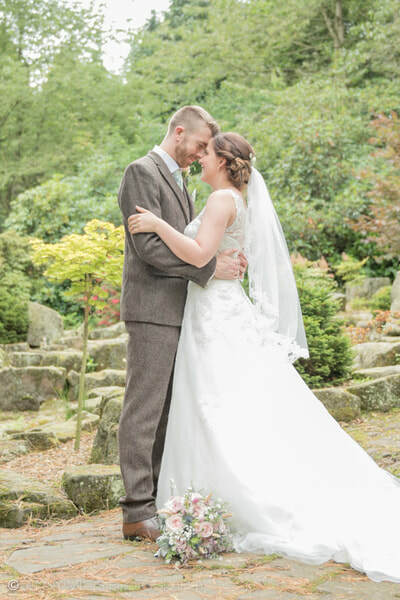 Jess and Luke opted to make charity donations in place of favours, to a South Yorkshire Animal Rescue Charity called Rain Rescue which is very close to their hearts. 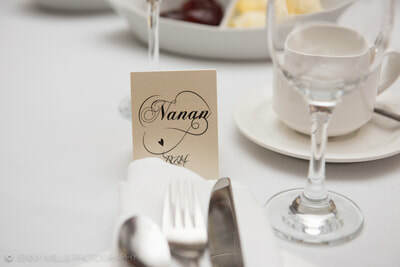 Jess and her sister have raised a lot of money for Rain Rescue in the past and Jess does illustrations for them regularly so it was the perfect oppurtunity to get their name out there to their guests who could keep the little cards as keepsakes. 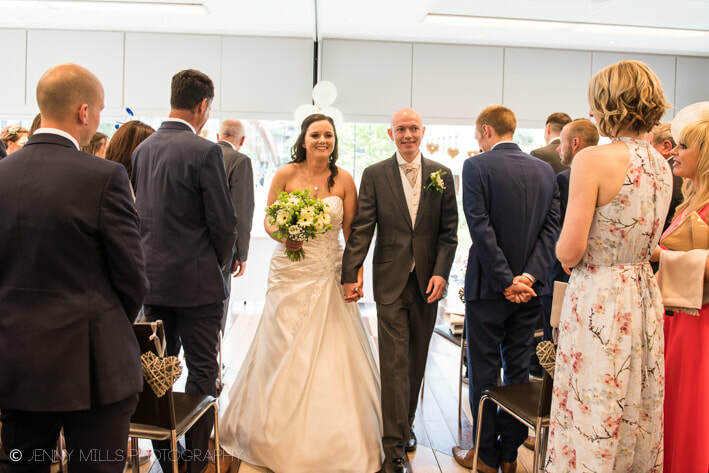 Jess said "Instead of spending £100 on some sugared almonds, I wanted our money to be put to good use and I know it would help a lot there!". 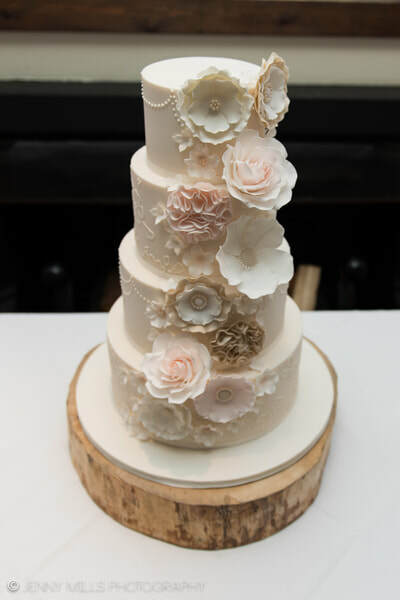 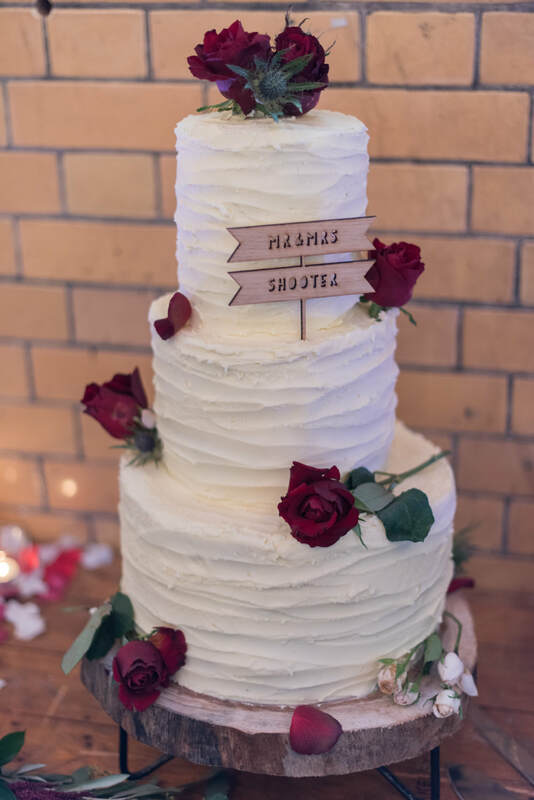 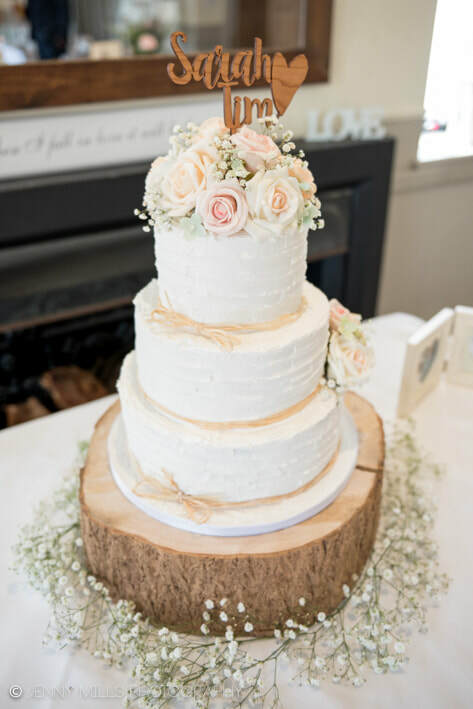 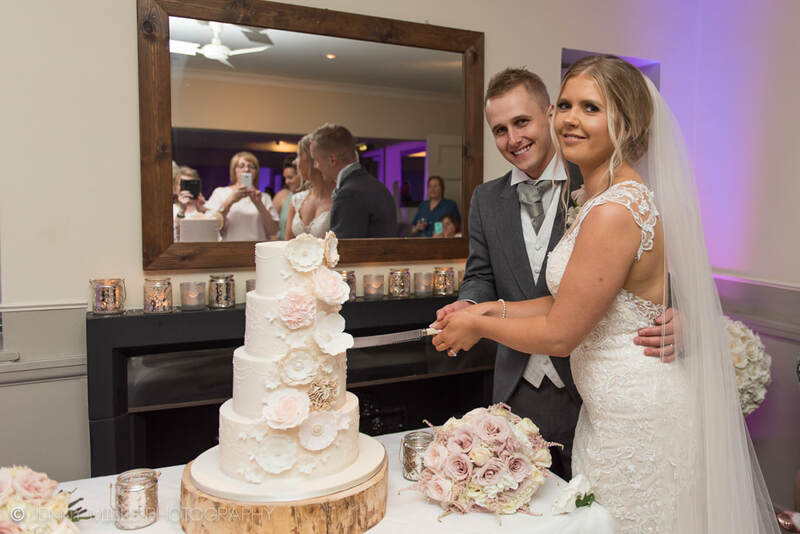 Jess created a beautiful 12 tier polystyrene cake, with lots of help from Luke's younger sister and bridesmaid Katie, who decorated the whole thing! The guests could then tuck into a variety of Krispy Kreme donuts instead of wedding cake, which went down a treat! 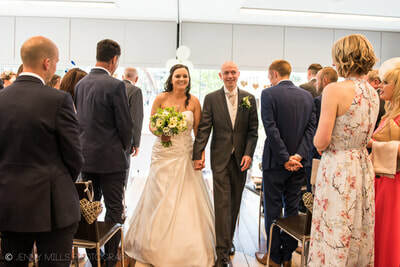 There was a fabulous team to help out Luke and Jess to cut down on big expenses and make some of the decor and stationary at home. Jess designed and printed her invites and order of service at home and the bridesmaids put them all together. 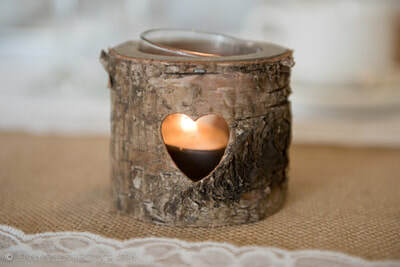 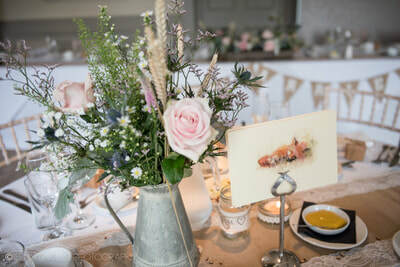 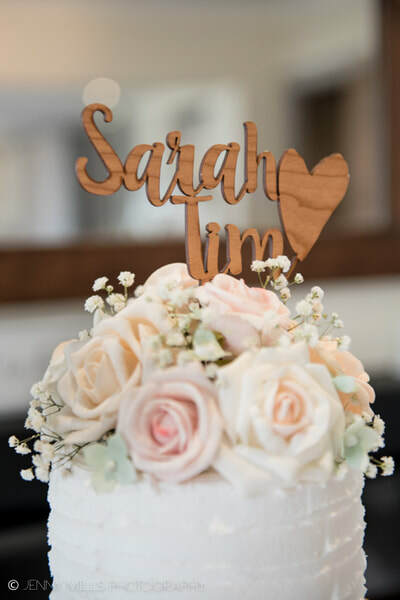 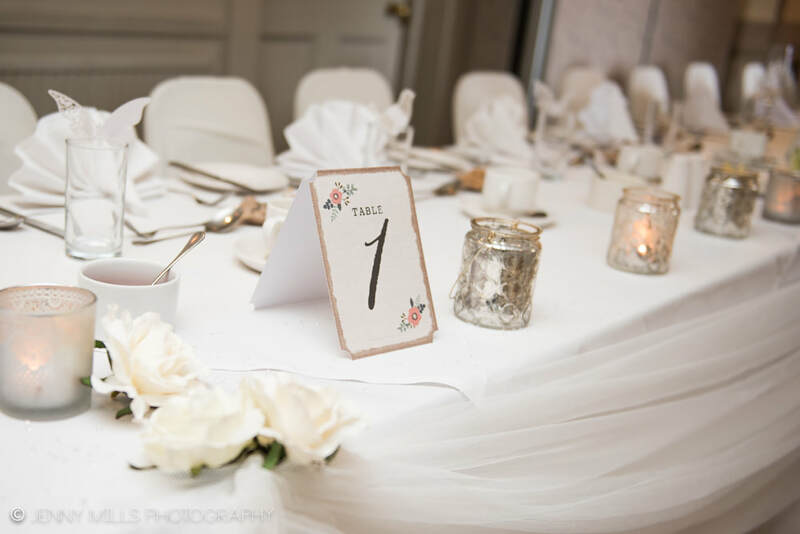 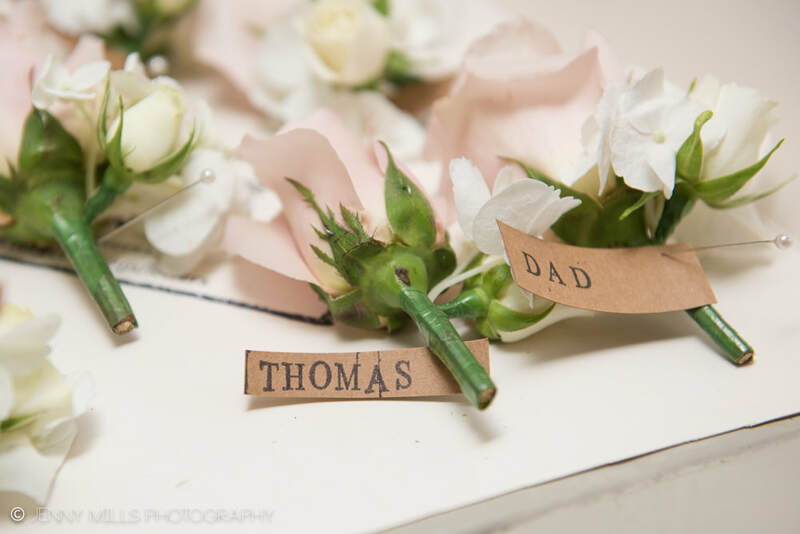 They also crafted the name place settings with twigs and ribbon, decorated little candle jars, made a top table backdrop as well as a number of other details along the way! Jess' Mum was on hand to make the table cloths and lace runners and there were a lot of tables due to celebrating along with so many friends and family! Thank you for choosing me and I wish Luke and Jess every happiness! 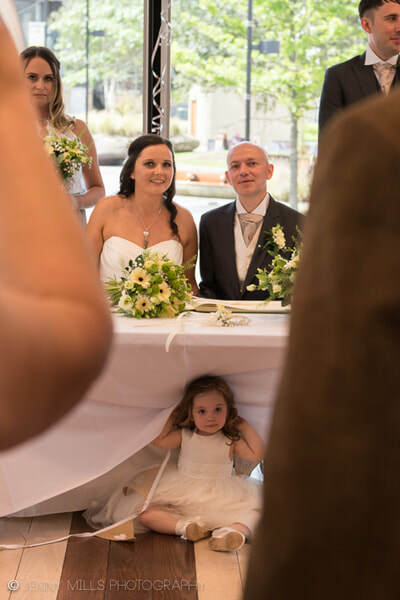 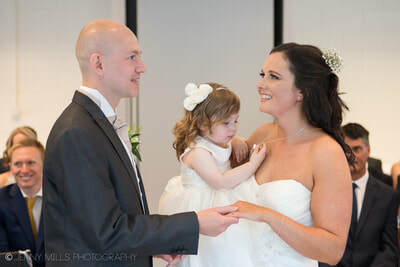 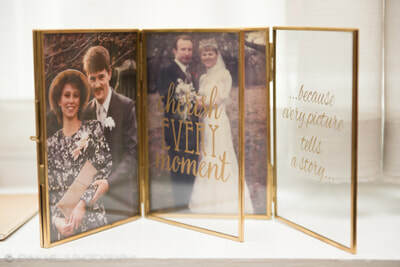 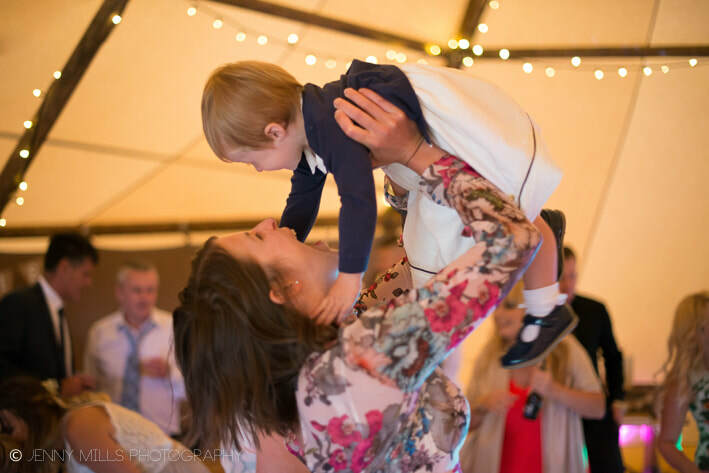 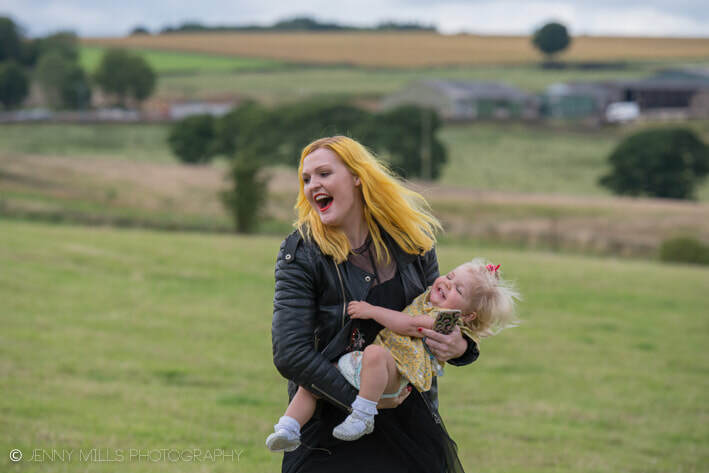 From my first meeting with Stacey and Jamie I knew their day would be special, the love they have for each other and their baby girl Lucy shines through and you can see it in their wedding gallery. 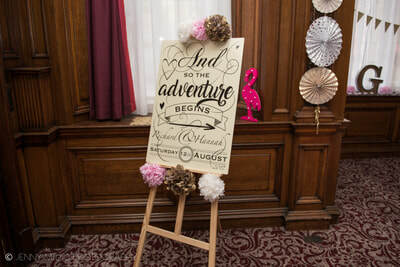 The marriage took place at Hotel Van Dyk in Chesterfield, Derbyshire. 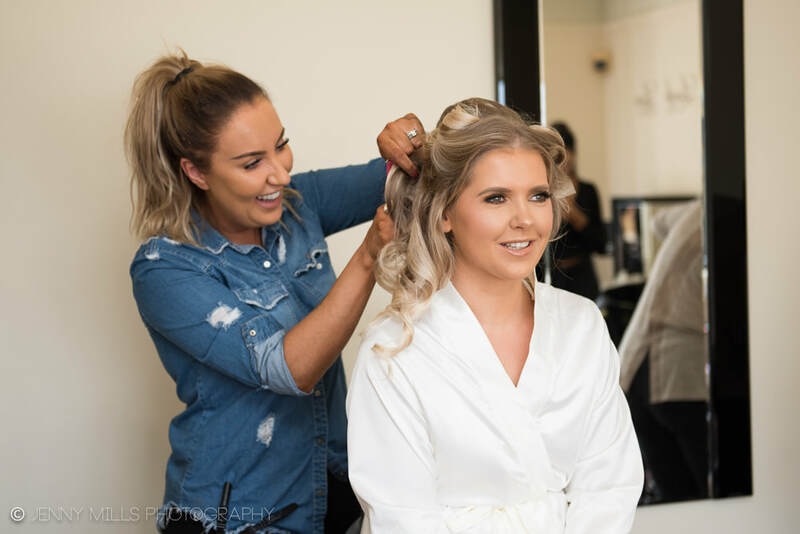 The hotel room in which Stacey and her bridesmaids were getting ready was alive - a bunch of bubbly girls all getting ready for a special day! 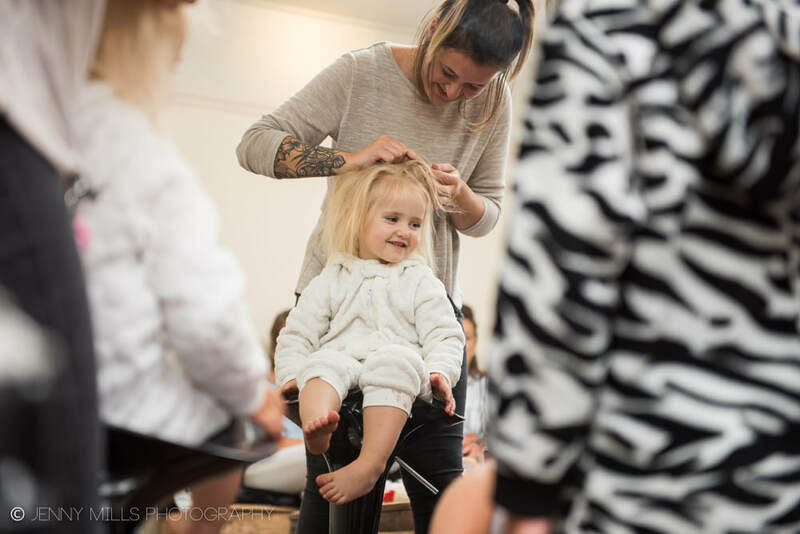 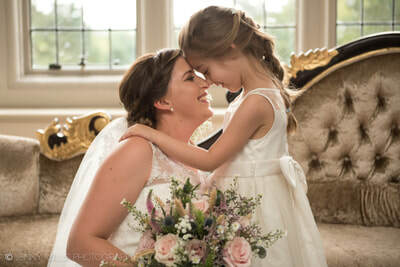 Lucy, who was just 10 months, slept peacefully while the ladies busily got ready for the special day and Emma Kendall (Makeup Artist) and Beau Hair worked their magic. 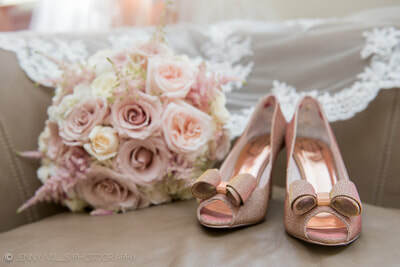 In the bridal suite awaited matching pink suede heels for the bridesmaids along with stunning pink lace dresses from Chi Chi London. 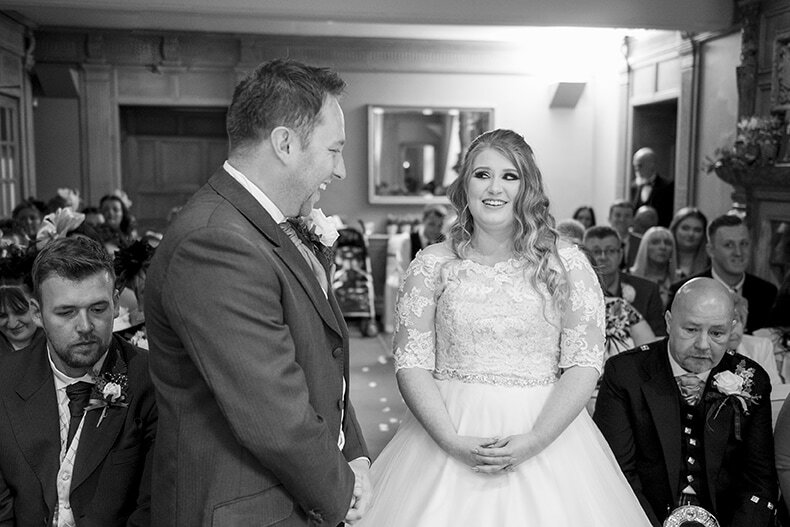 Stacey's fit and flare dress from New York Bride also had lace detailing, with delicate cap sleeves and a gorgeous button back. 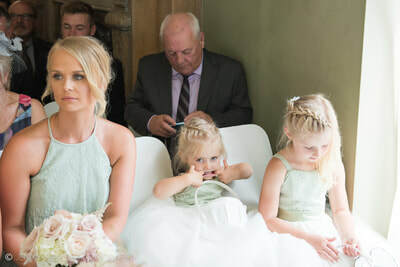 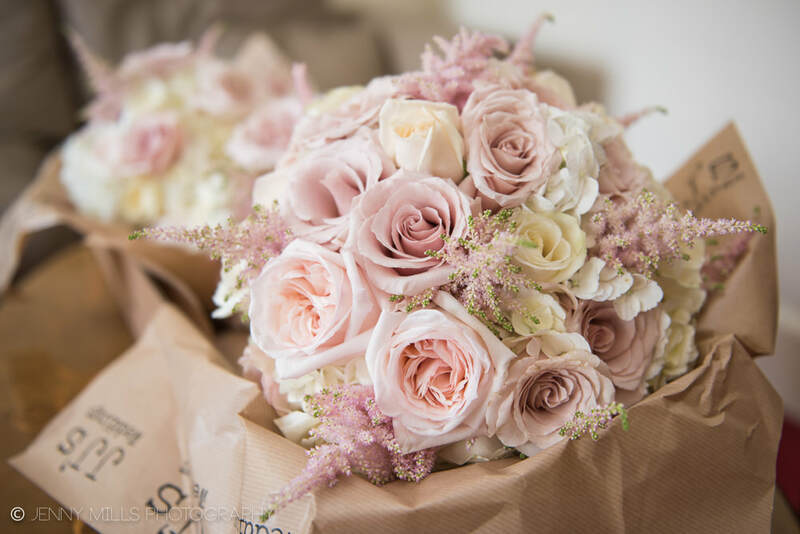 The dainty peach rose bridesmaid's bouquets were perfectly suited and set off Stacey's teardrop bridal bouquet which were all by Pinks Florist, Beighton. 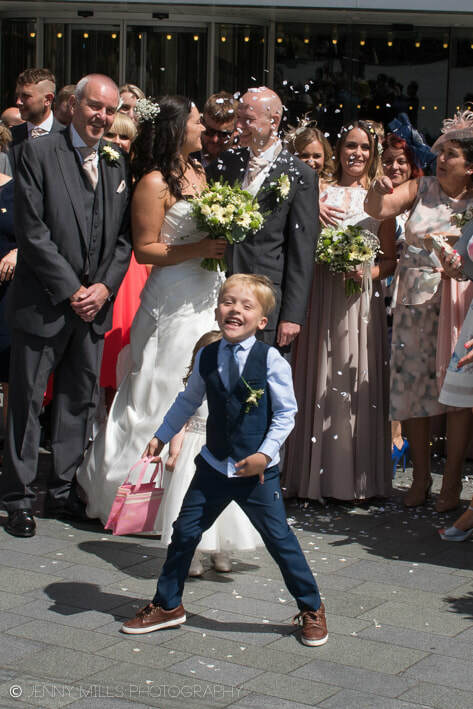 Jamie arrived in style in a family members Porsche - his best man looked bewildered as they stepped out to greet some guests that had gathered at the venue. 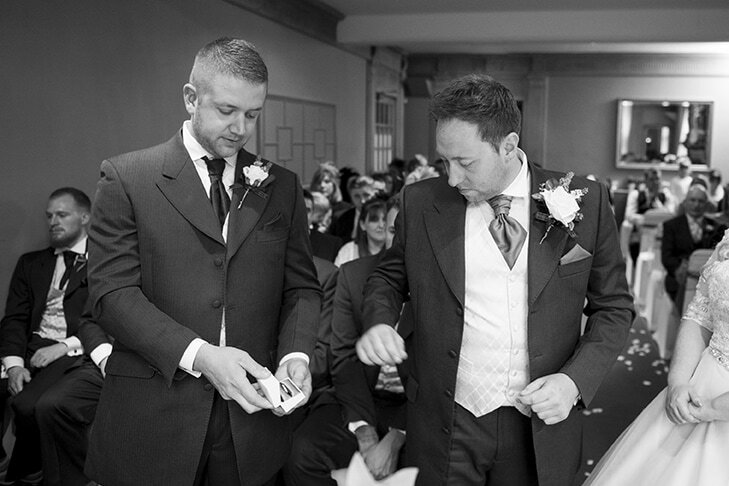 The groomsmen wore suits from M&S with ivory ties and a classic rose buttonhole.